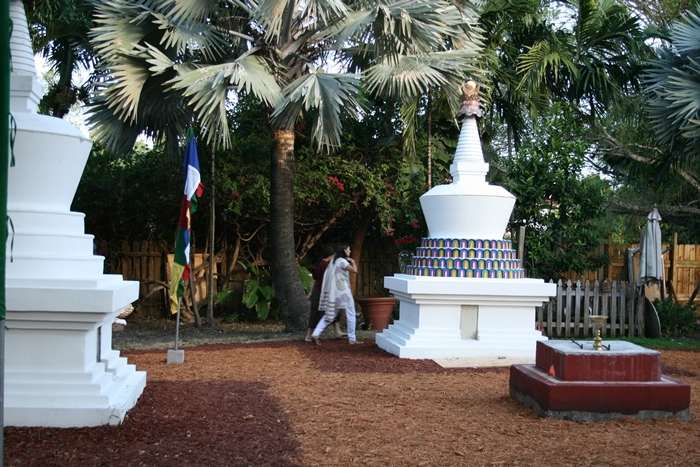 These are the southernmost Tibetan stupas in the U.S. As with all stupas, they were built to counter negativity and balance the elements, thereby benefiting the physical environment and all the beings sharing that environment. 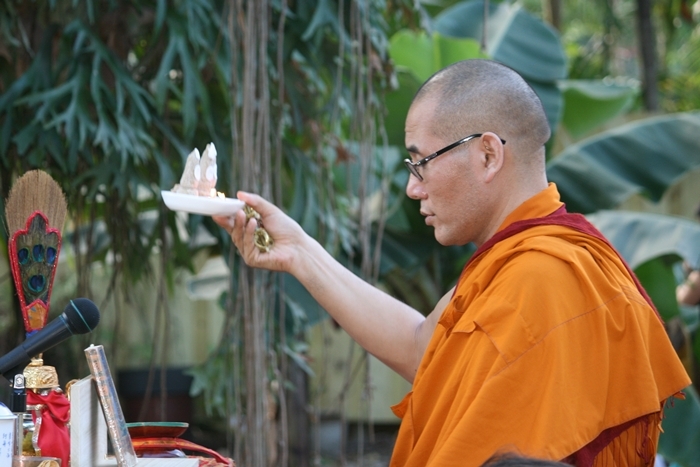 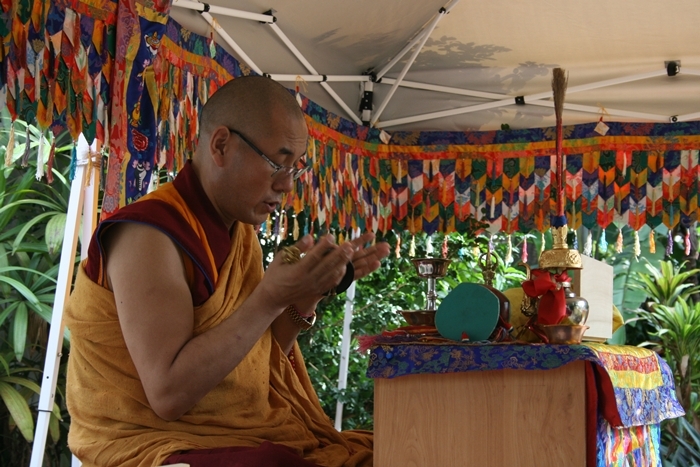 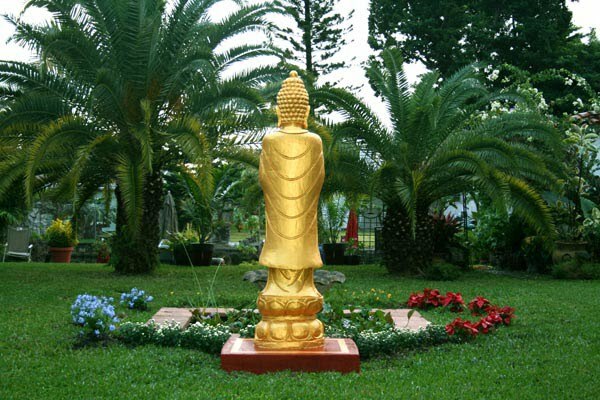 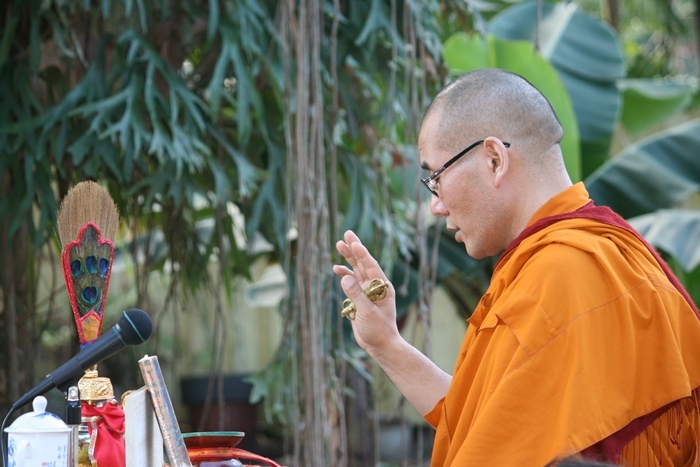 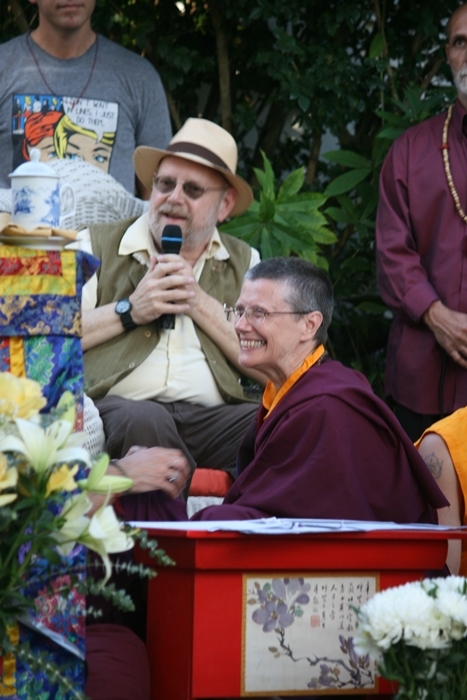 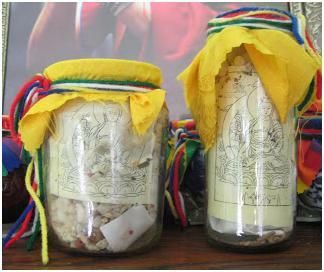 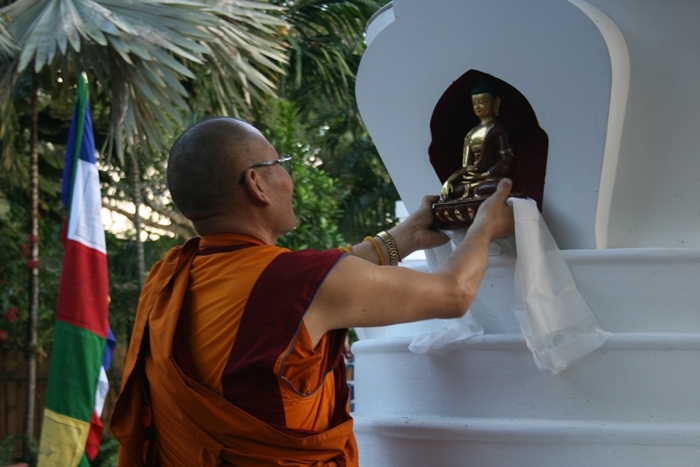 A basic design was shown by Buddha Shakyamuni when his disciples asked him how a reliquary should be constructed and what it should symbolize. 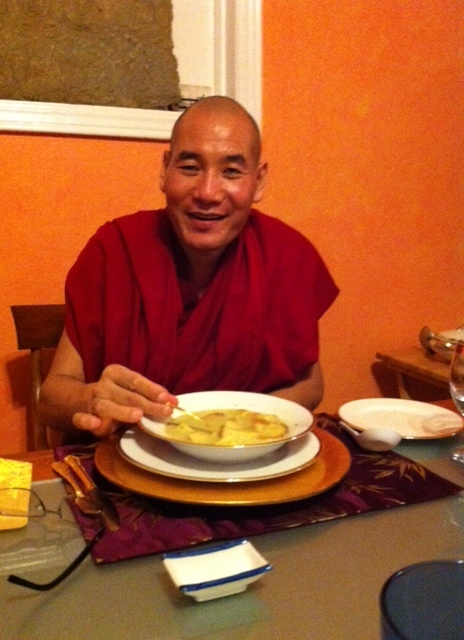 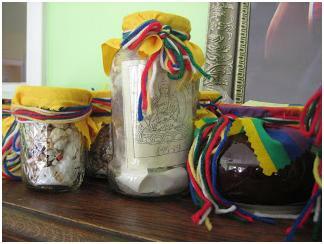 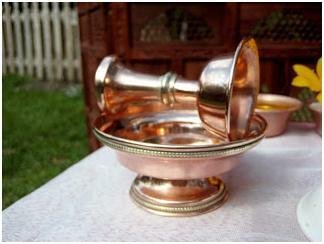 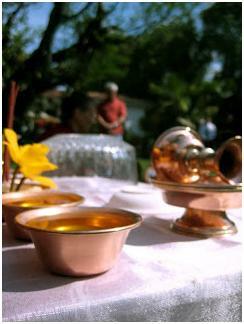 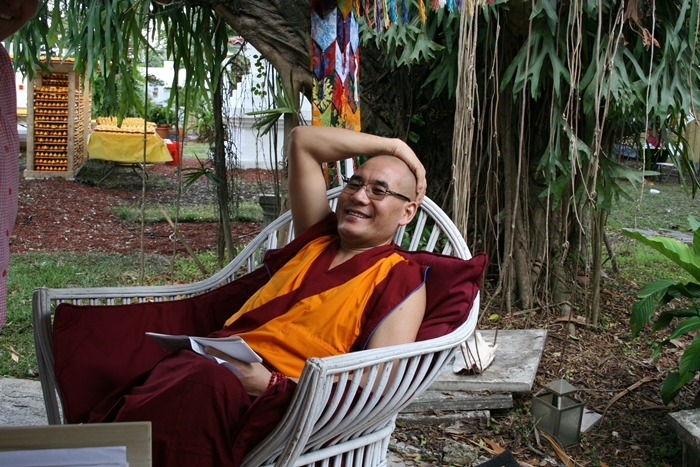 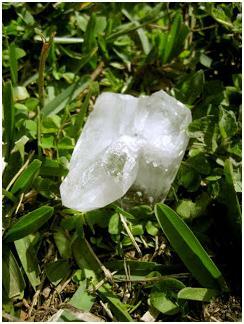 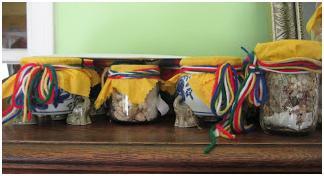 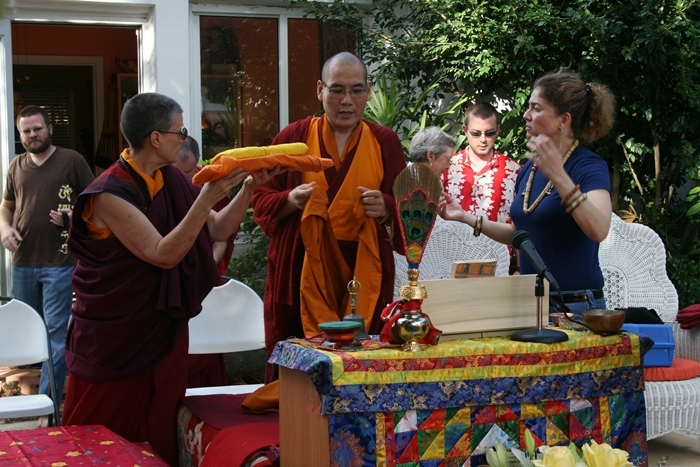 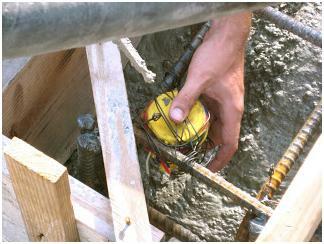 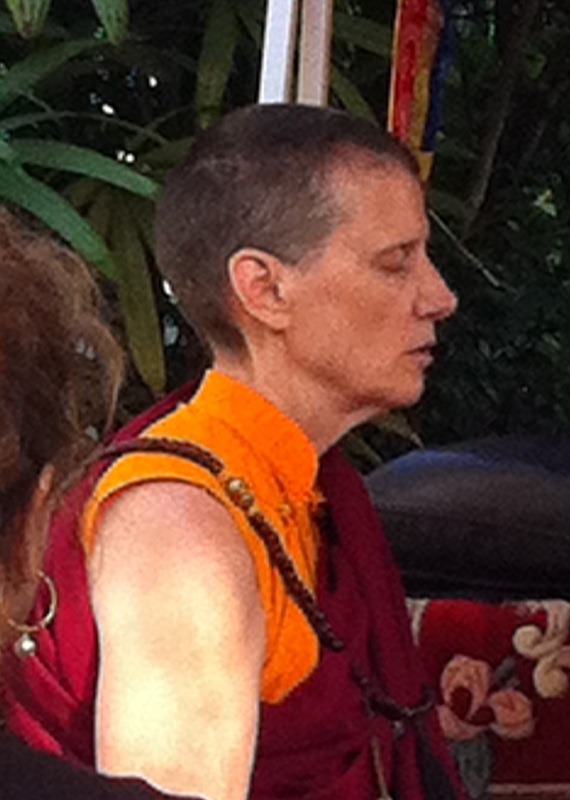 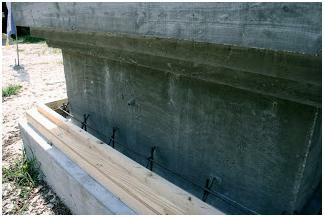 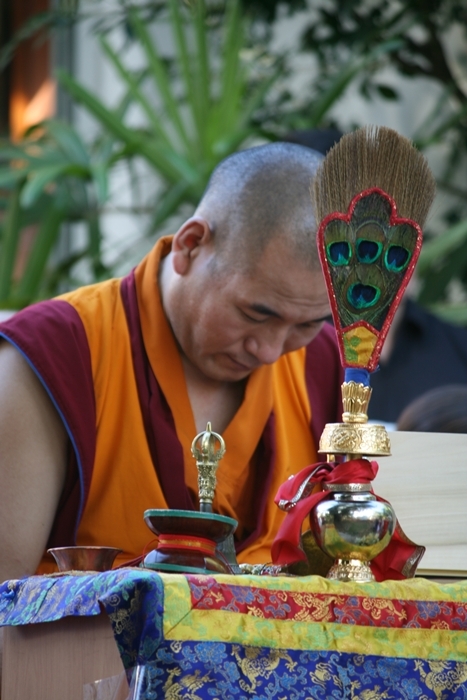 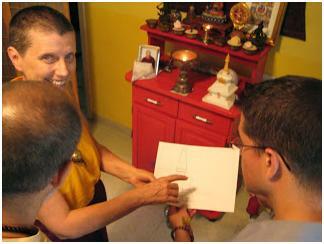 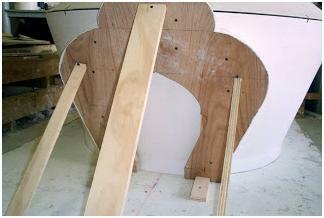 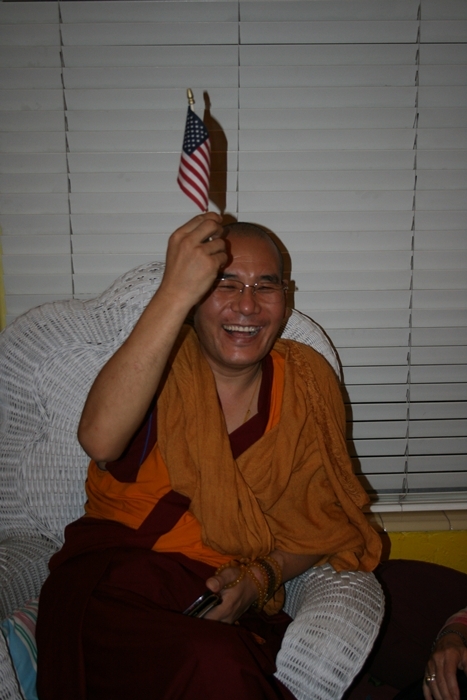 The Kagyu lineage of Tibetan Buddhism has kept the basic design. 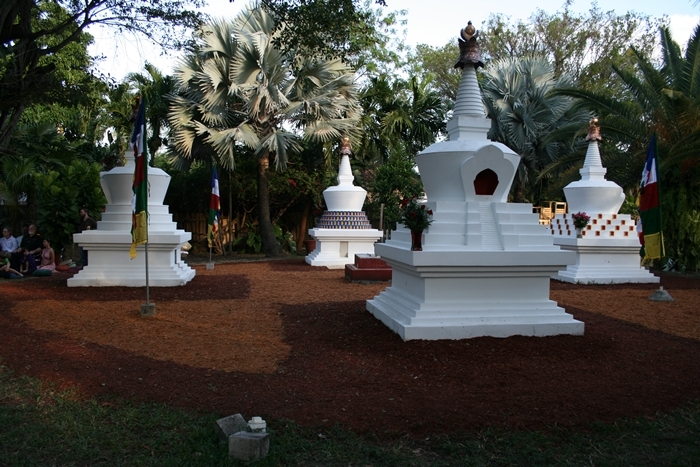 These four stupas in Miami, Florida were built to face the four cardinal directions and symbolize various events in the life of the Buddha. 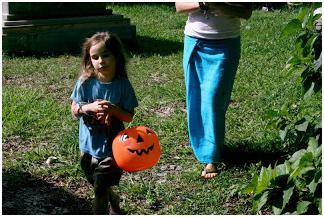 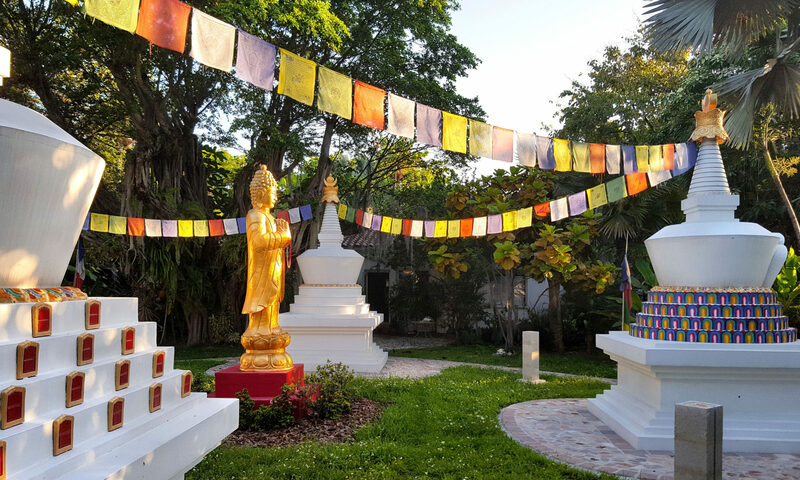 Come experience the peace of our garden. 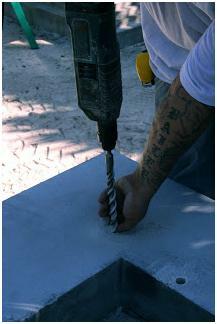 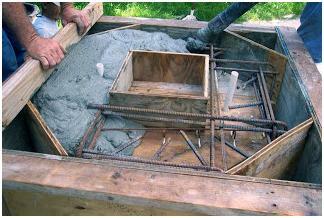 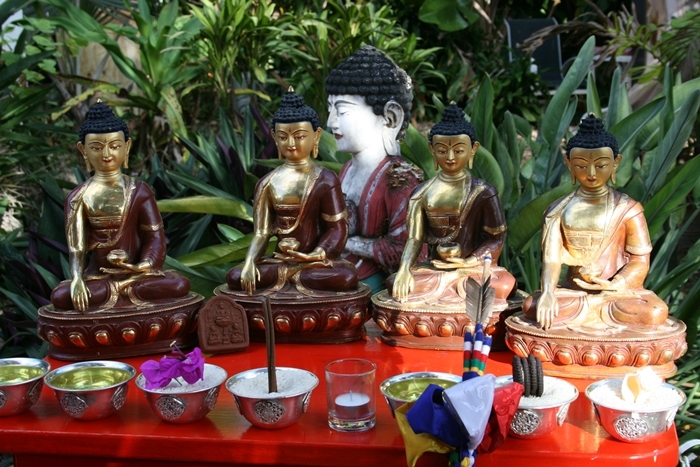 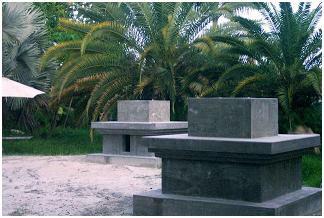 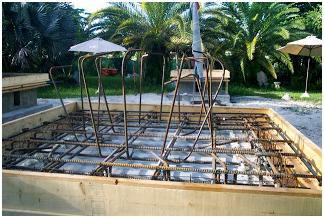 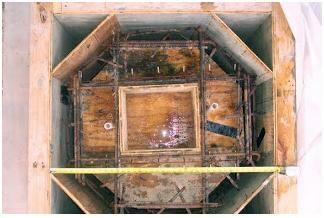 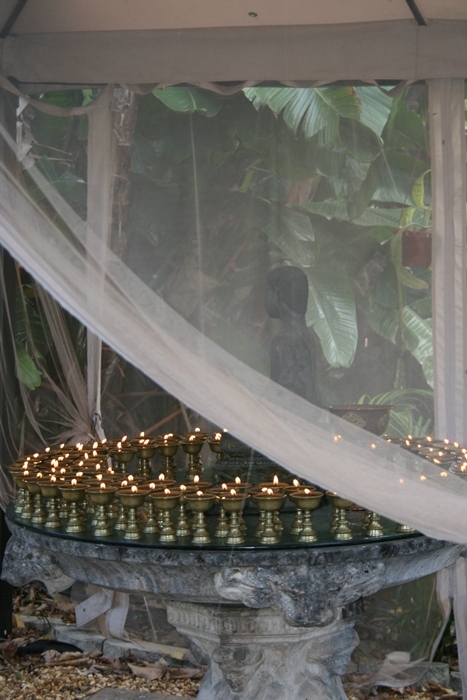 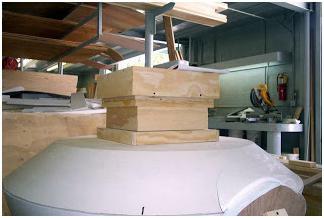 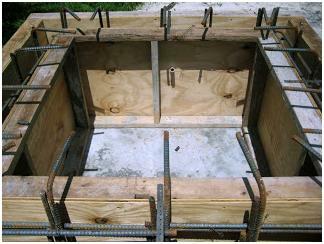 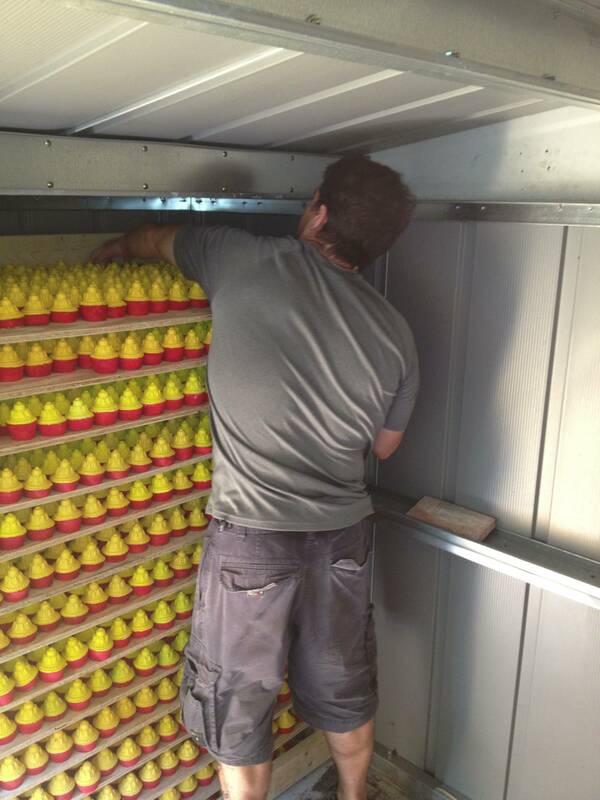 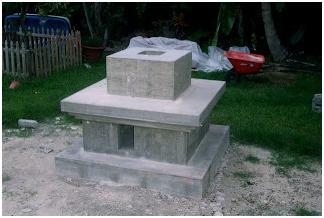 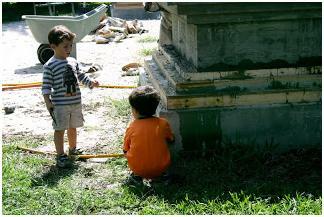 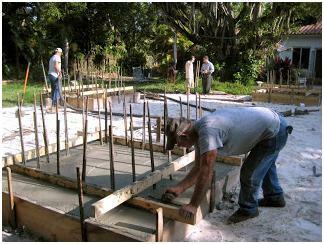 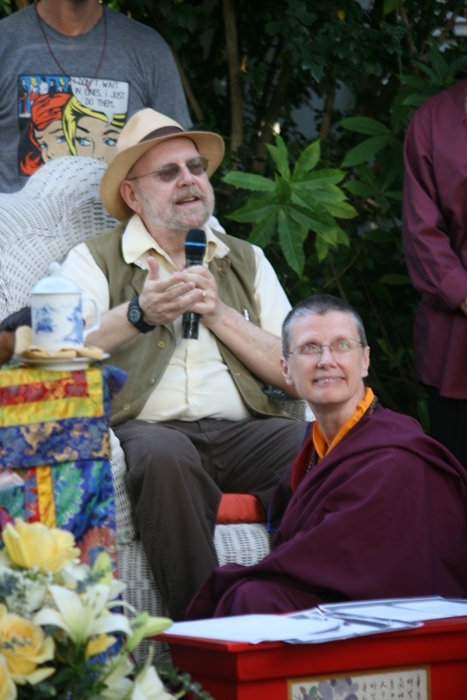 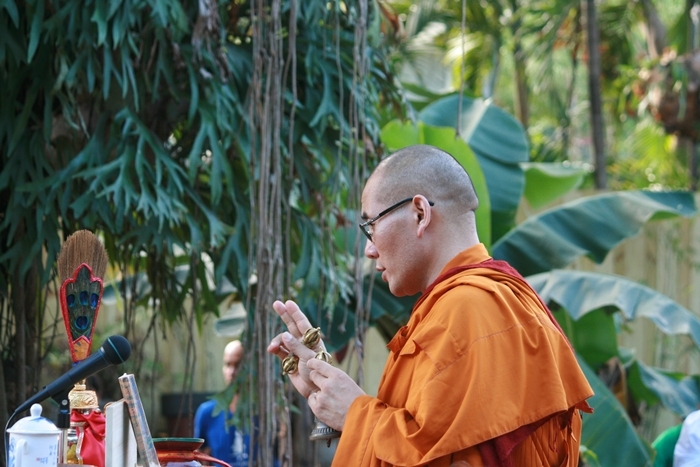 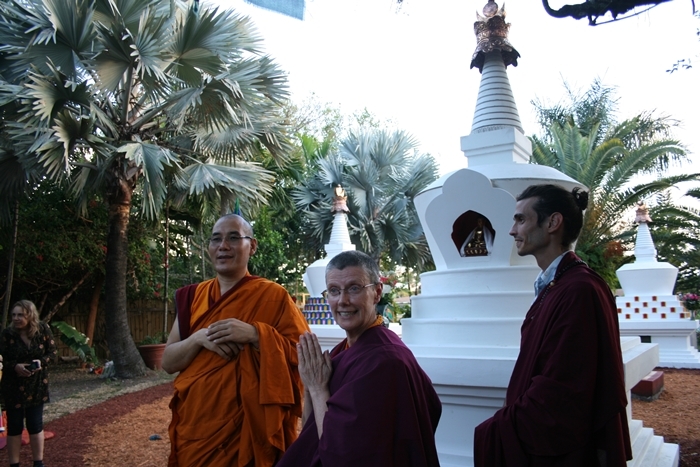 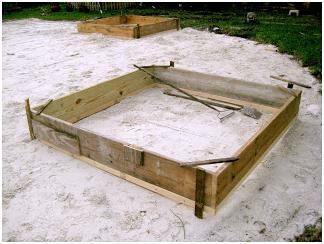 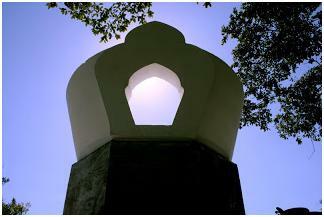 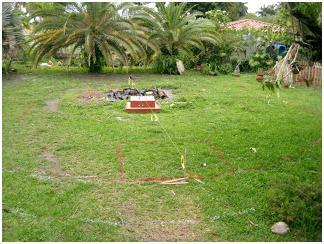 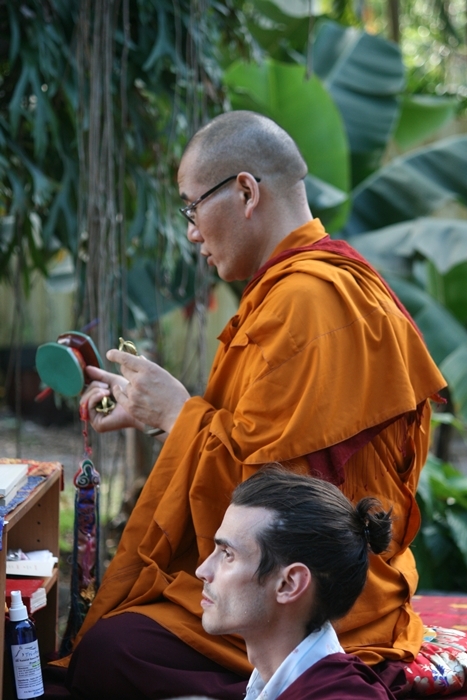 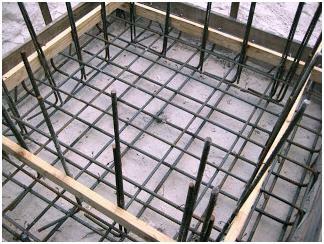 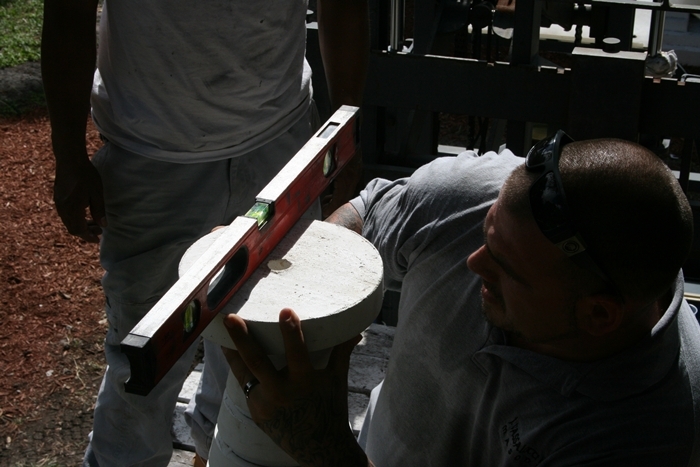 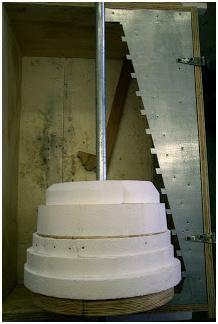 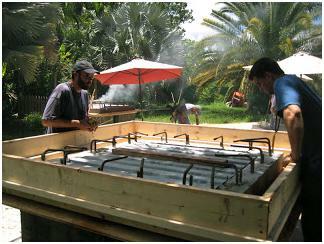 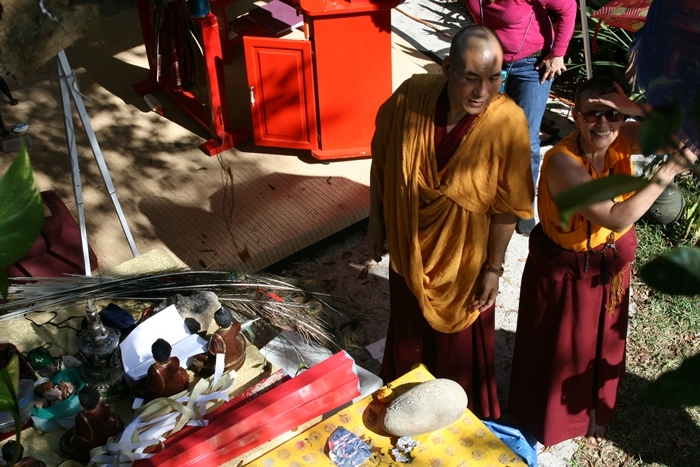 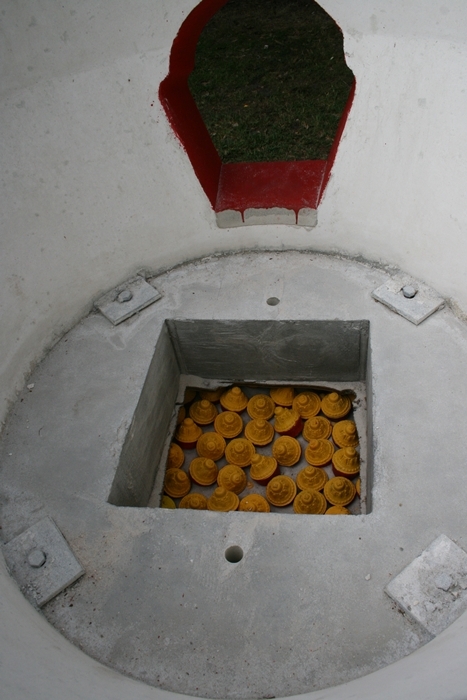 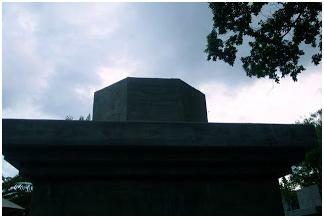 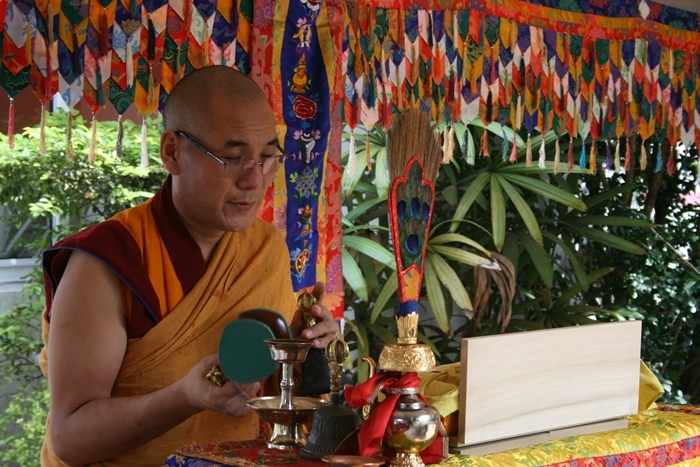 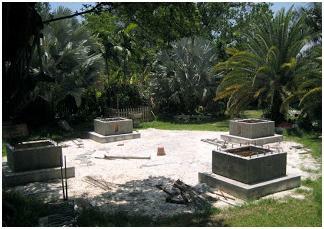 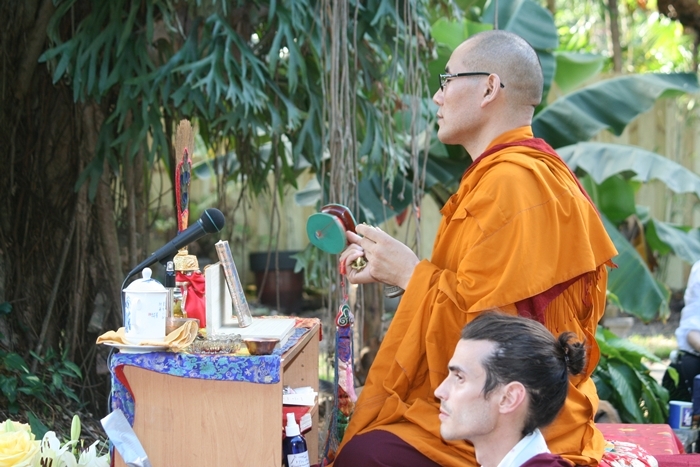 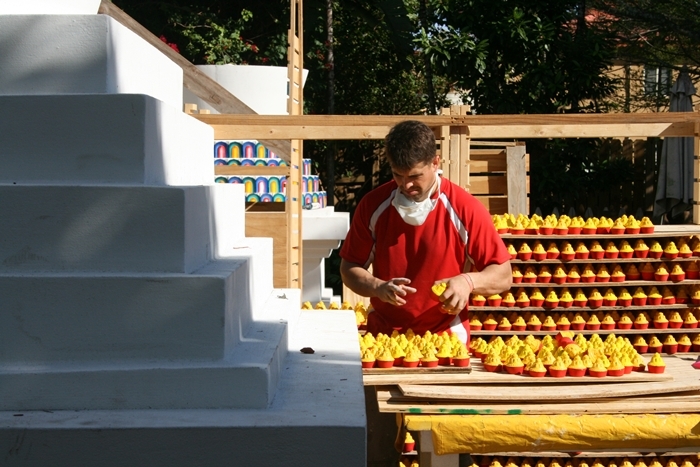 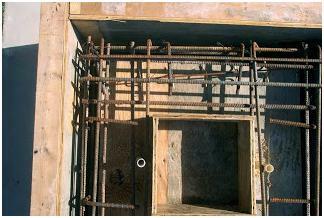 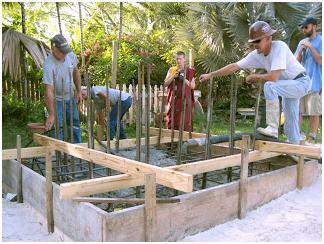 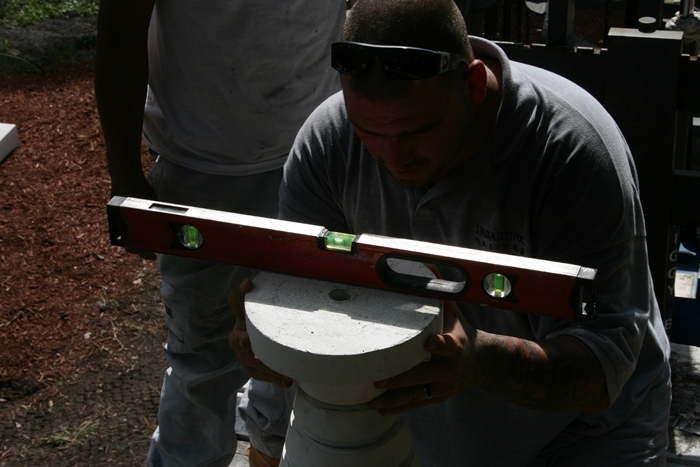 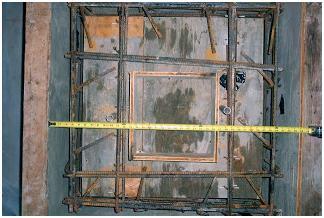 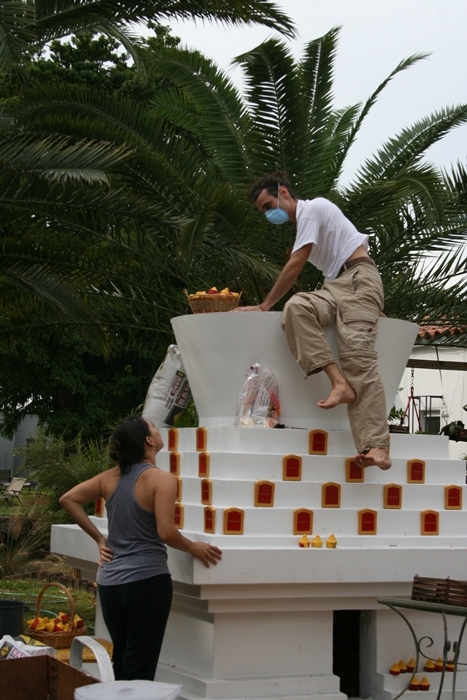 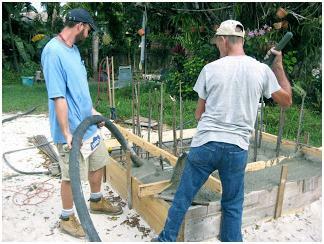 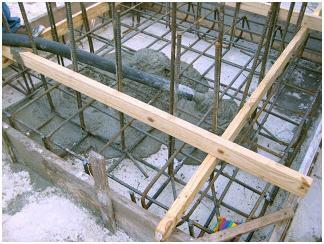 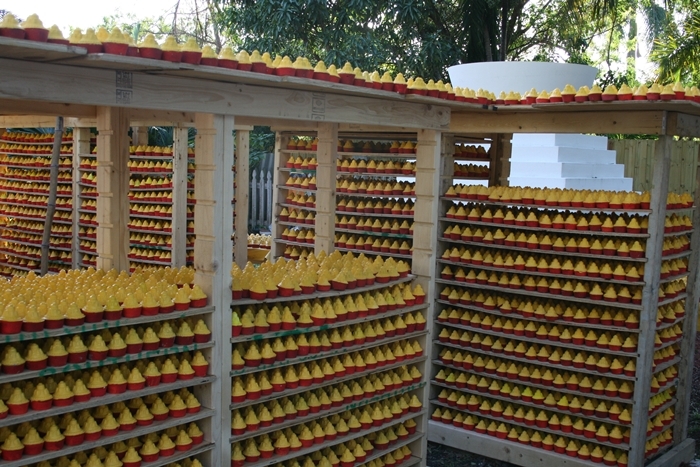 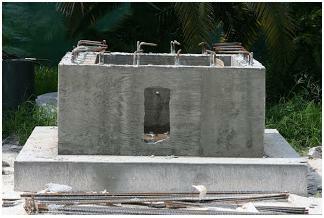 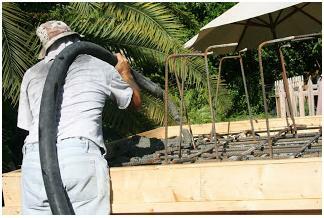 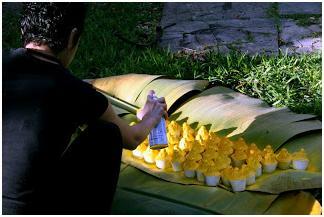 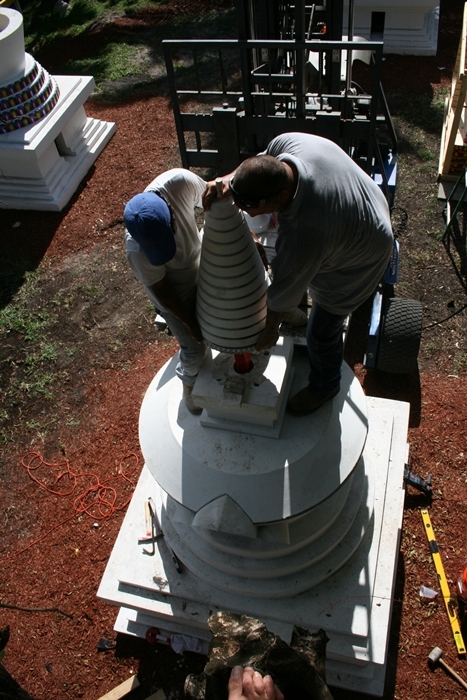 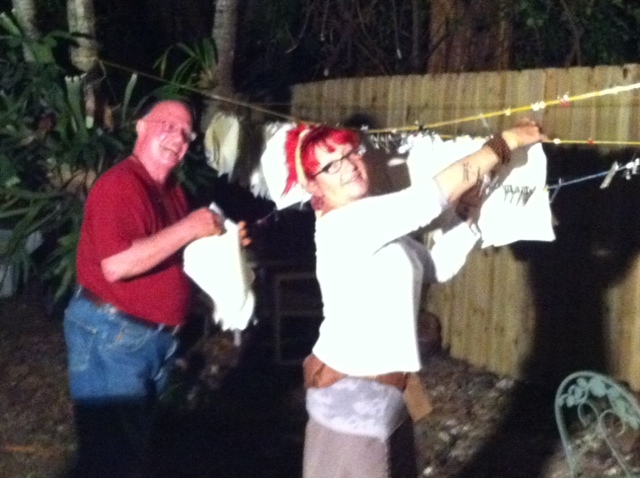 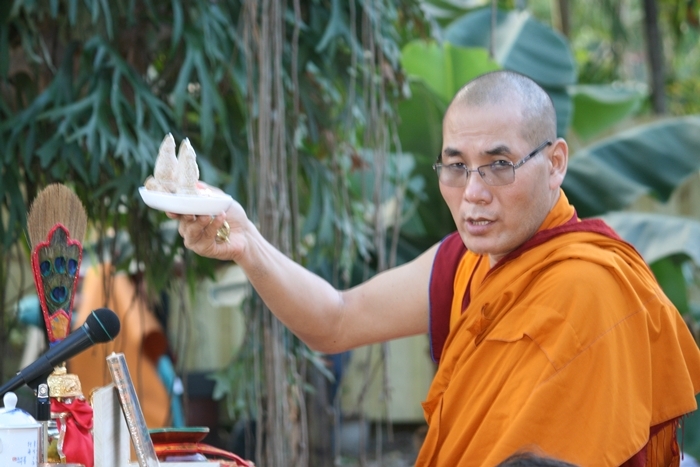 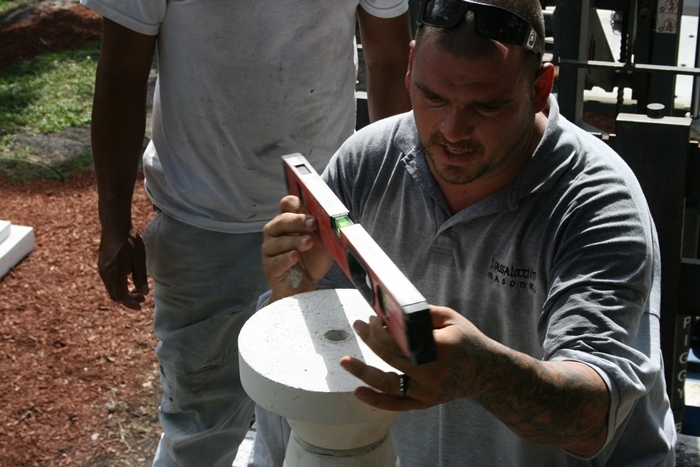 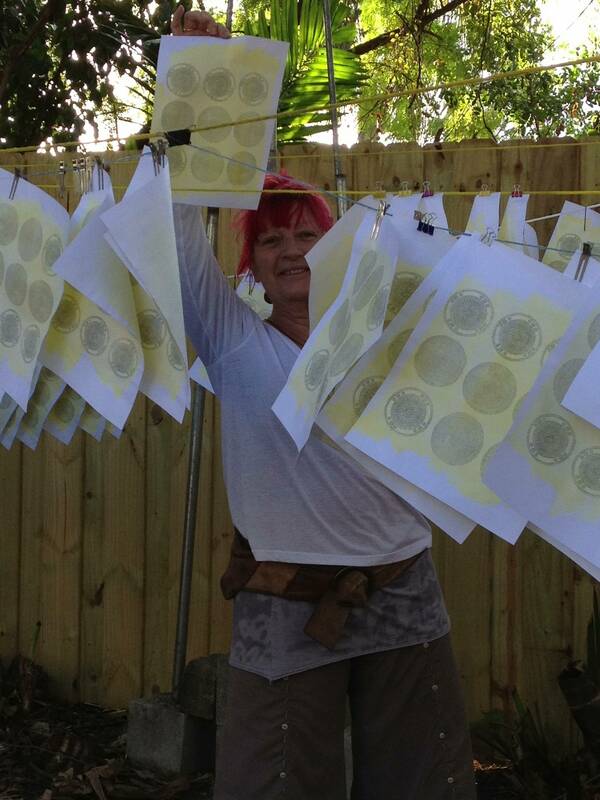 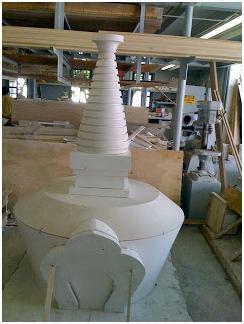 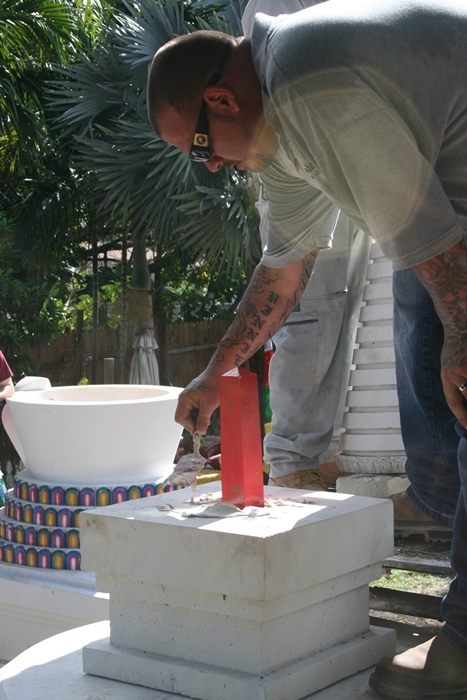 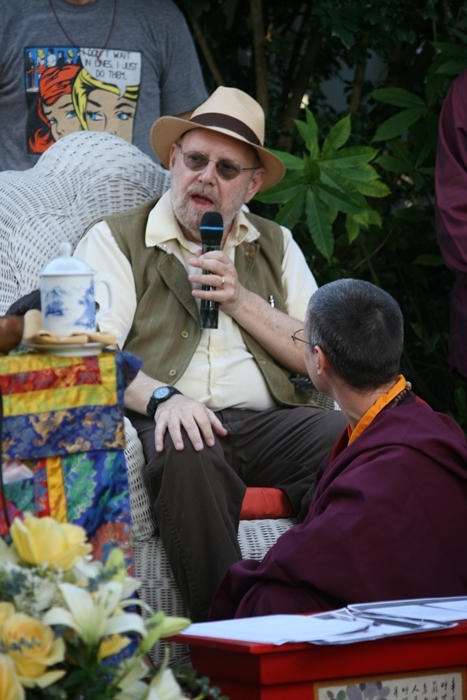 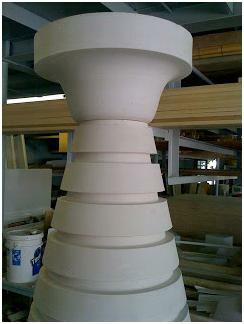 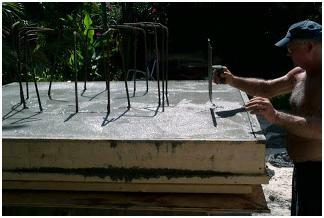 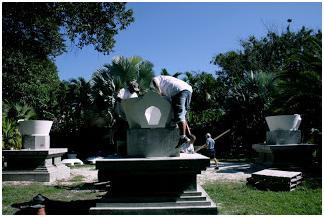 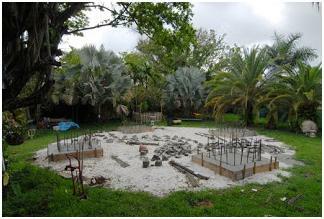 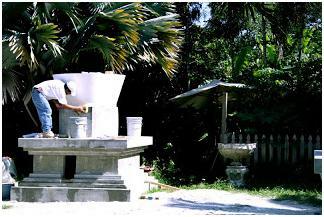 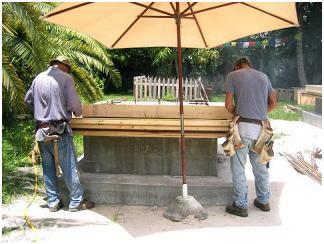 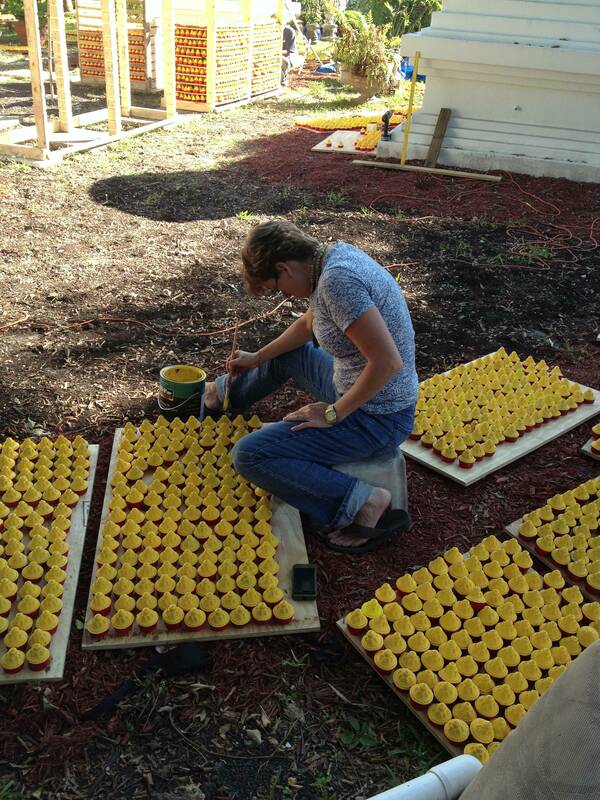 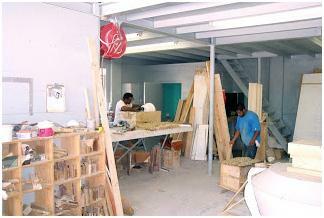 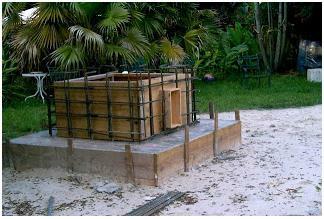 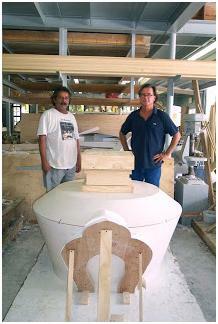 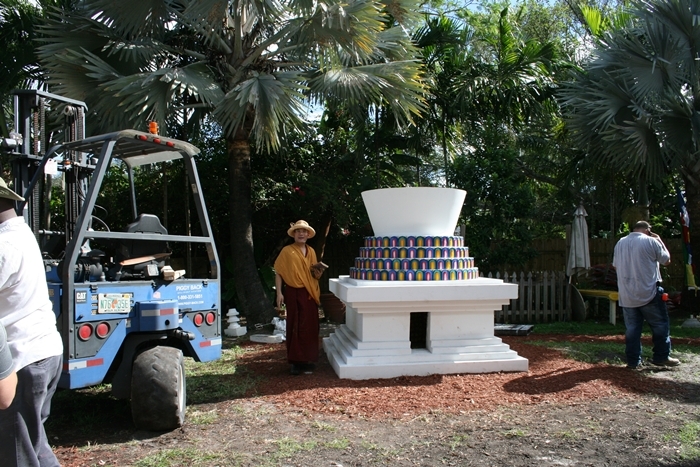 Stupas Garden of Merit – Planning, Construction and Consecration. 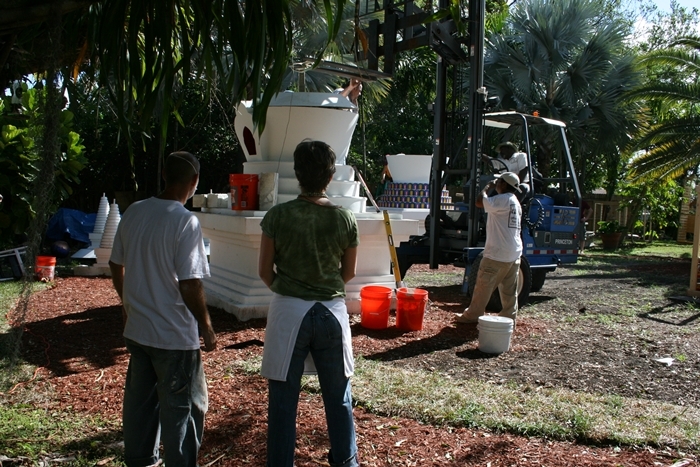 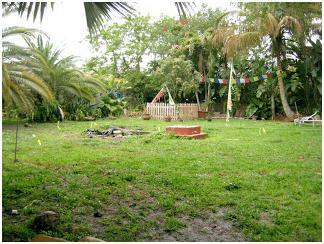 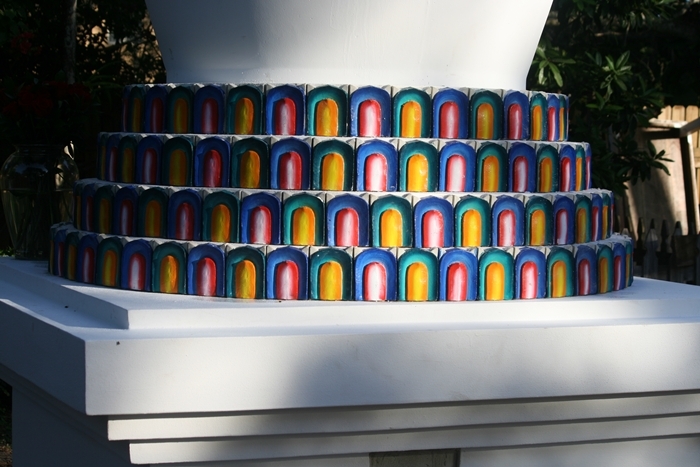 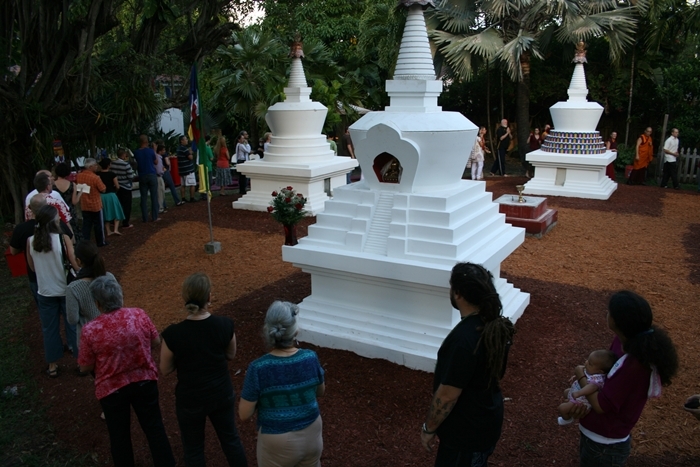 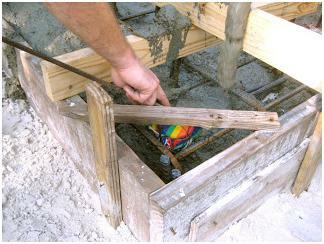 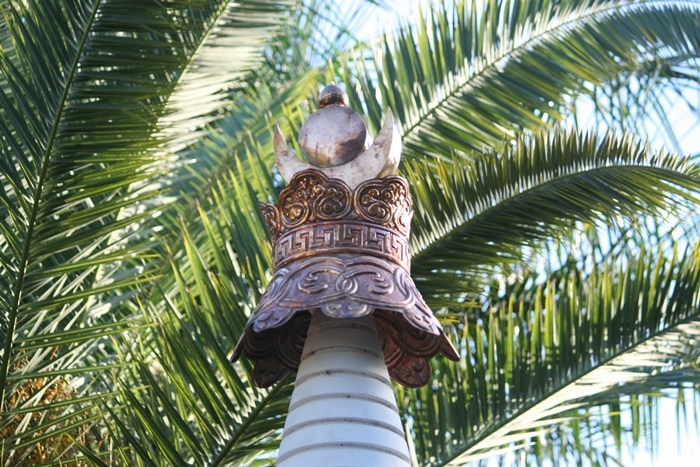 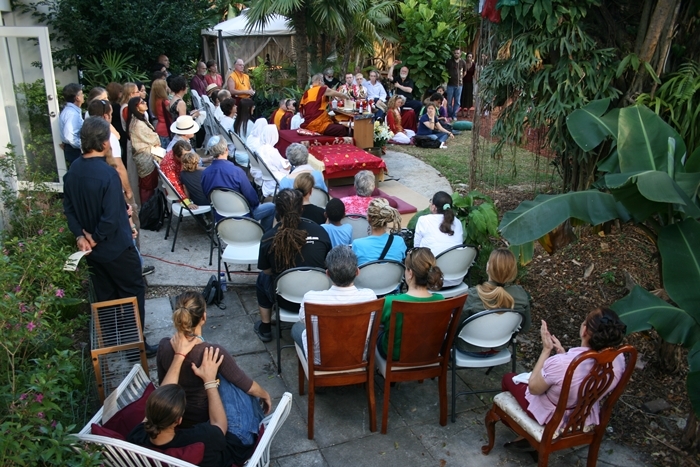 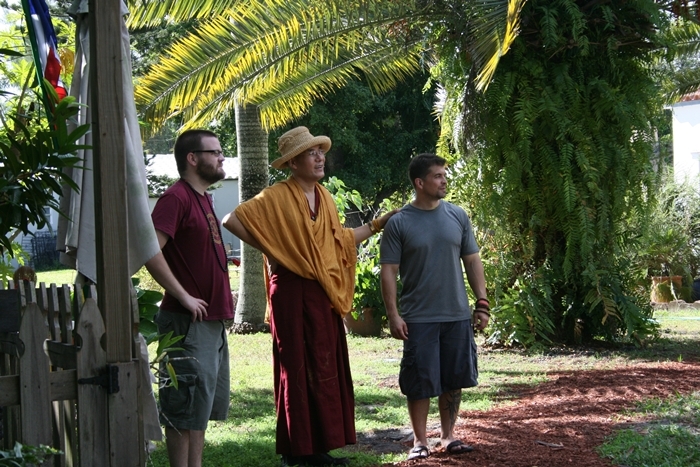 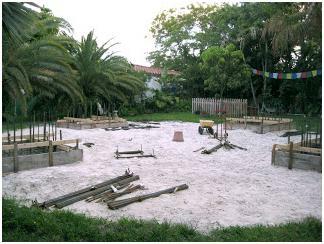 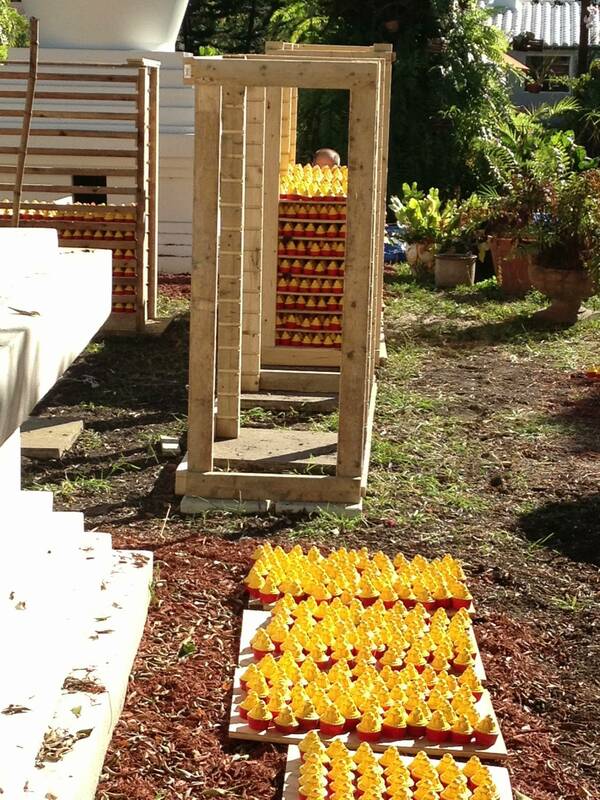 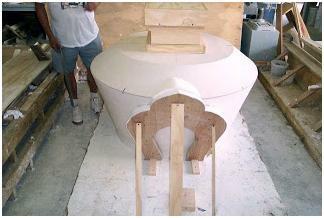 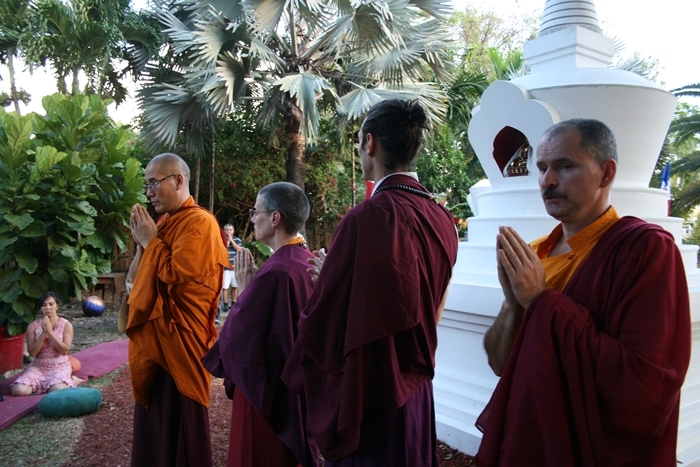 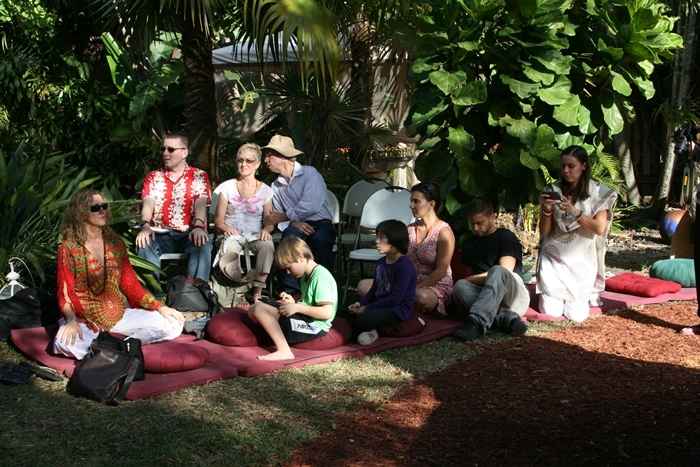 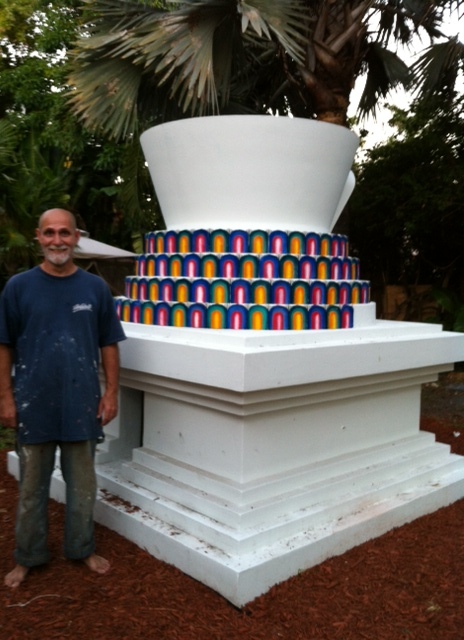 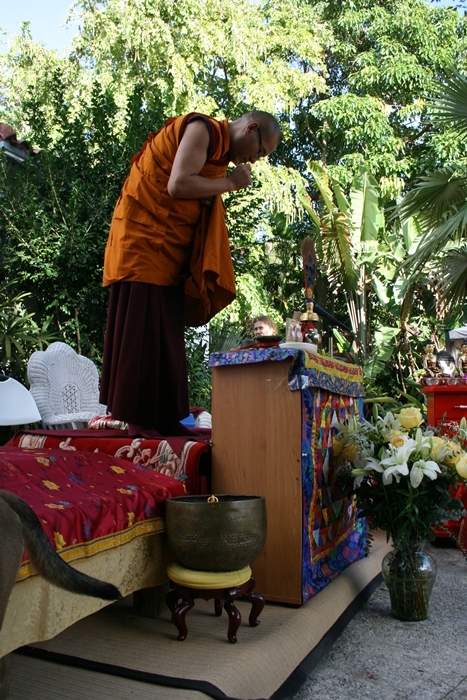 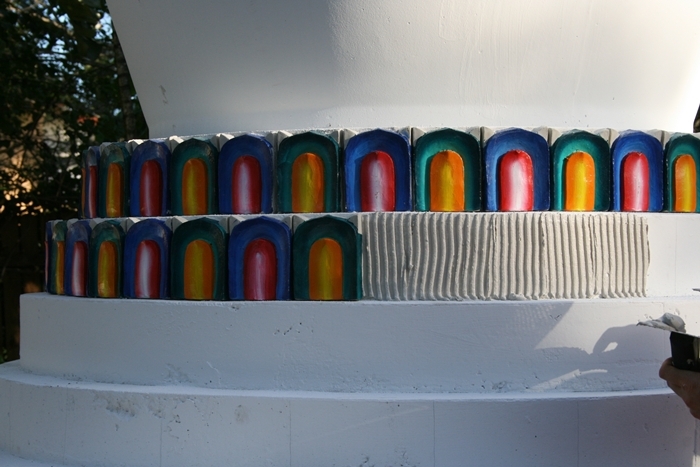 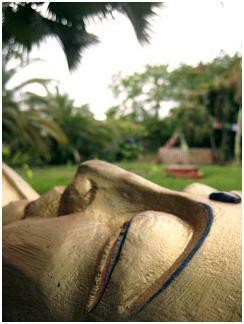 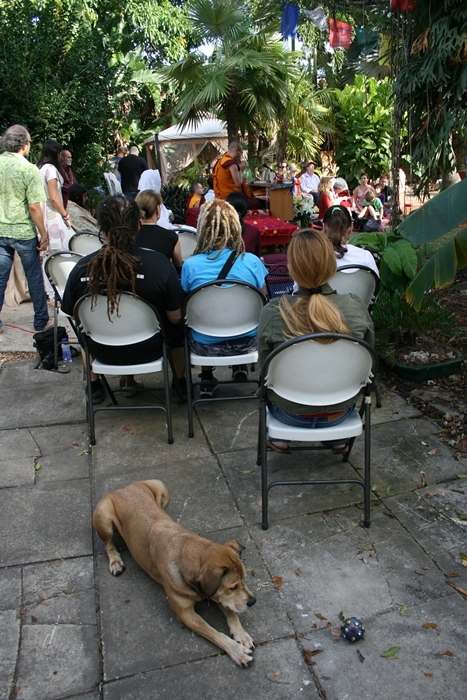 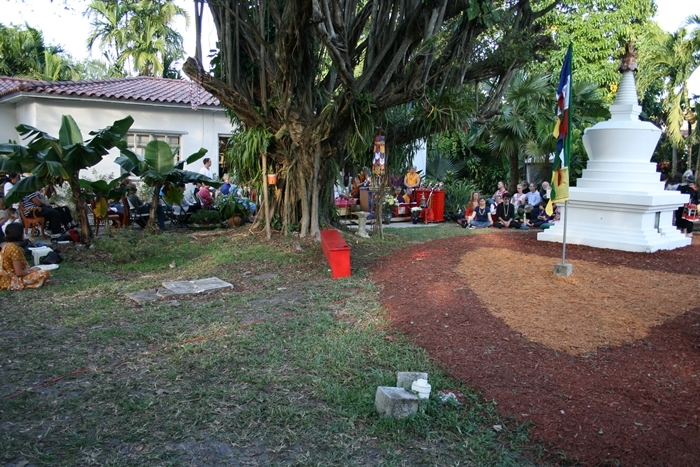 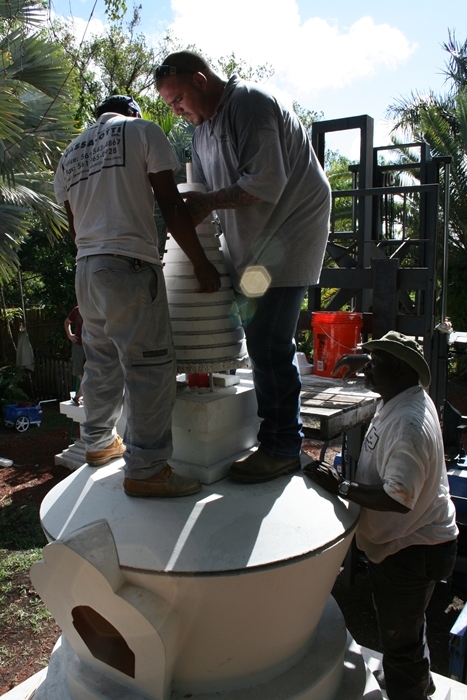 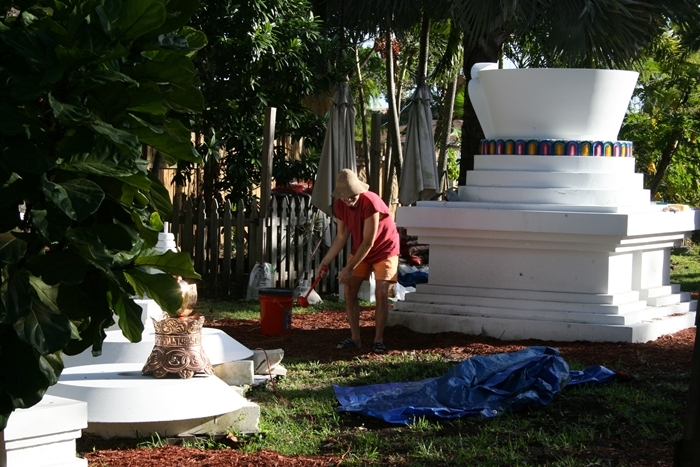 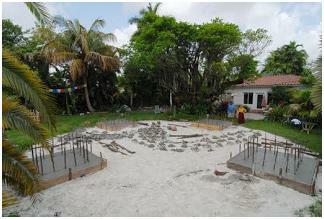 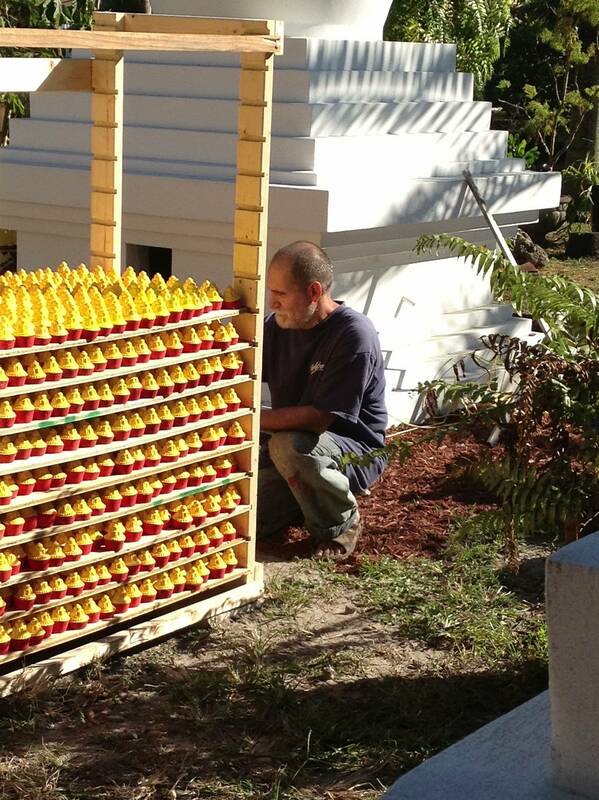 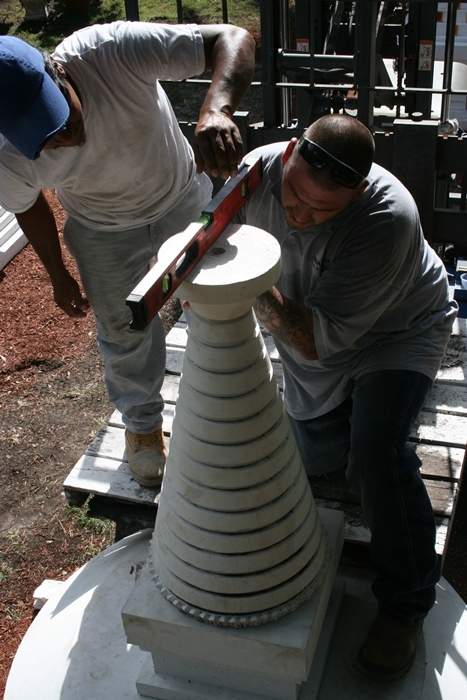 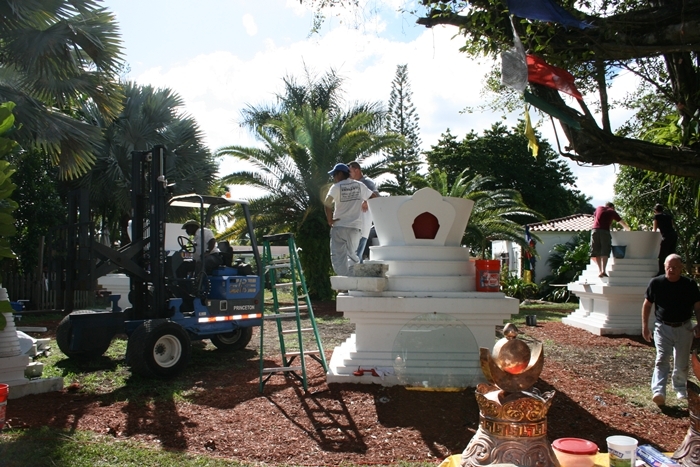 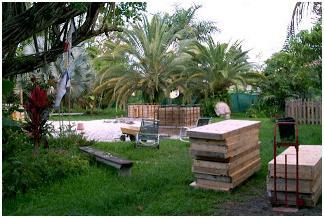 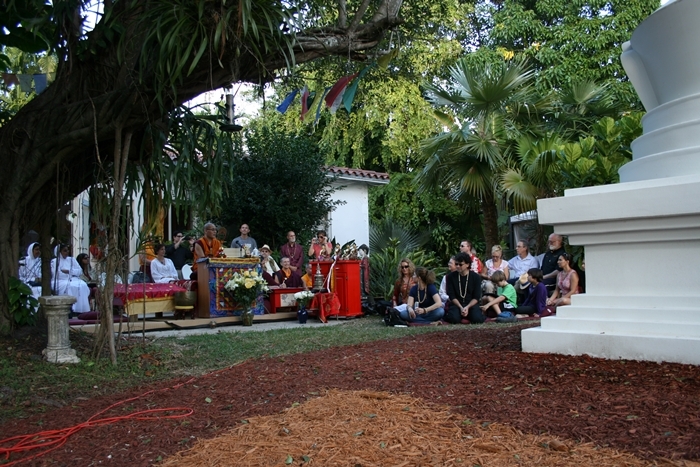 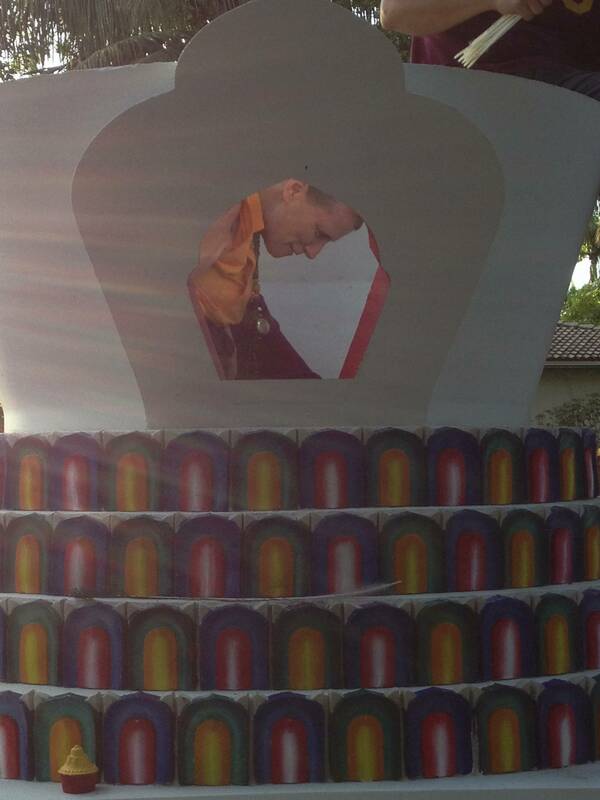 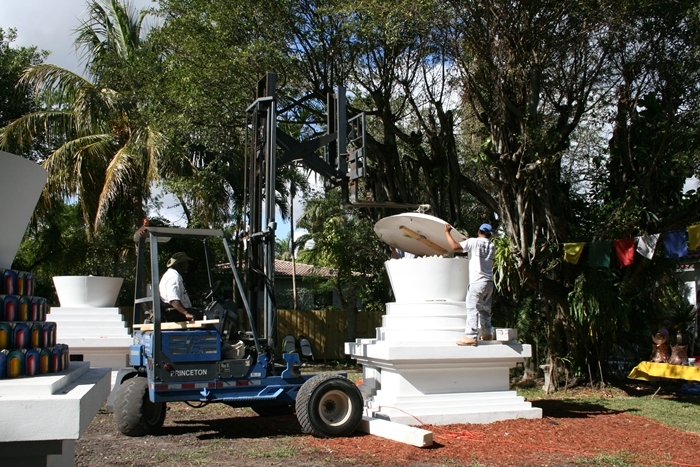 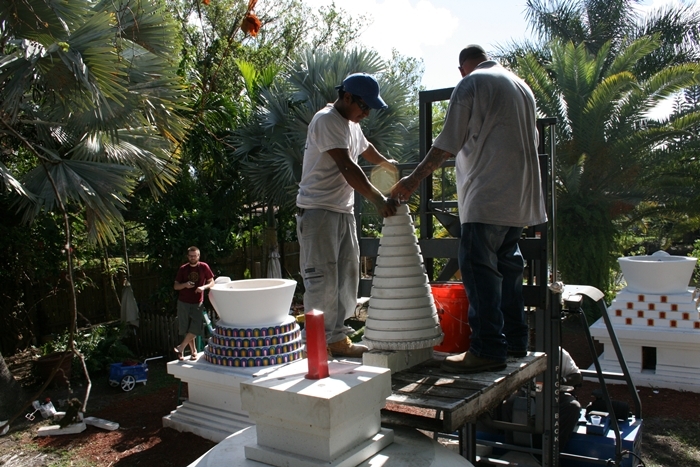 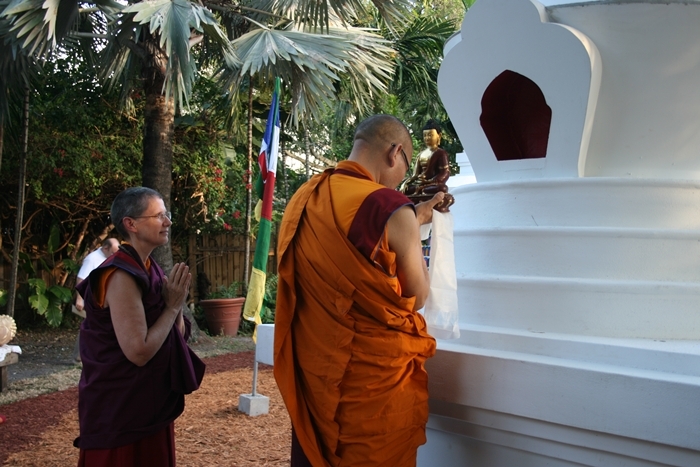 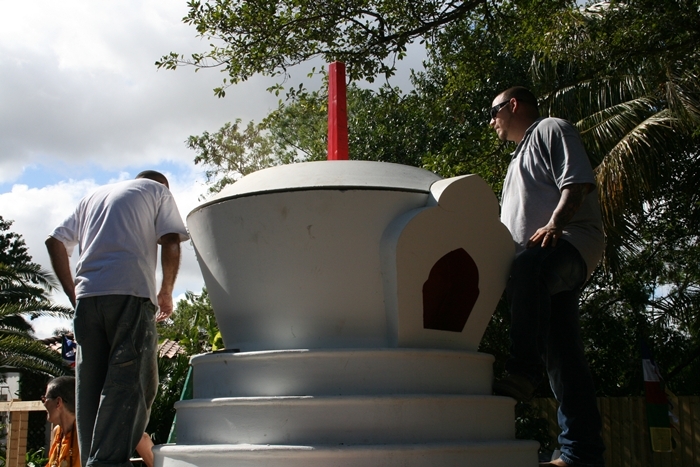 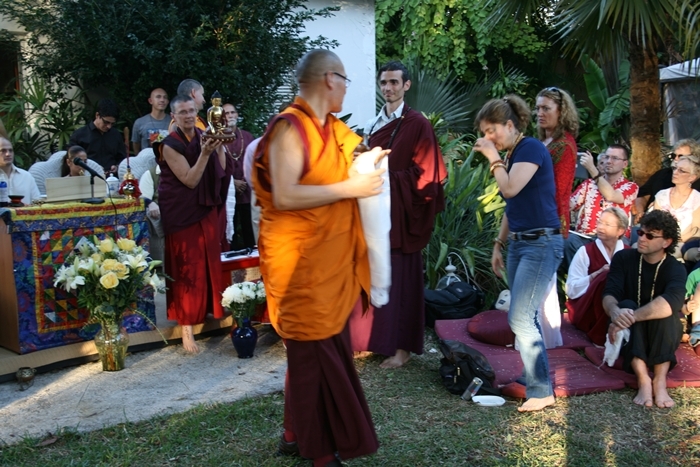 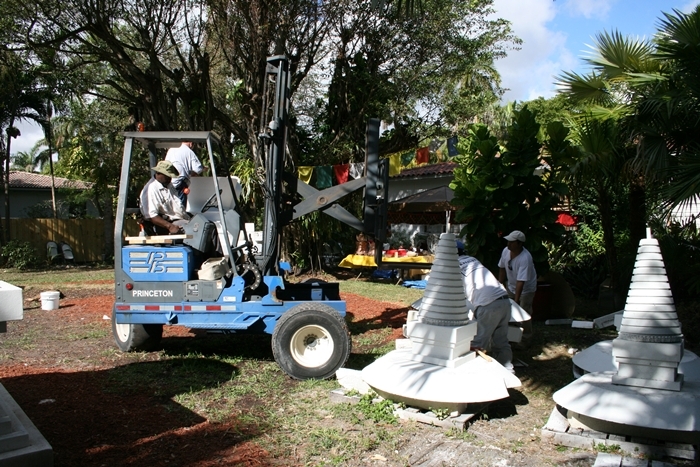 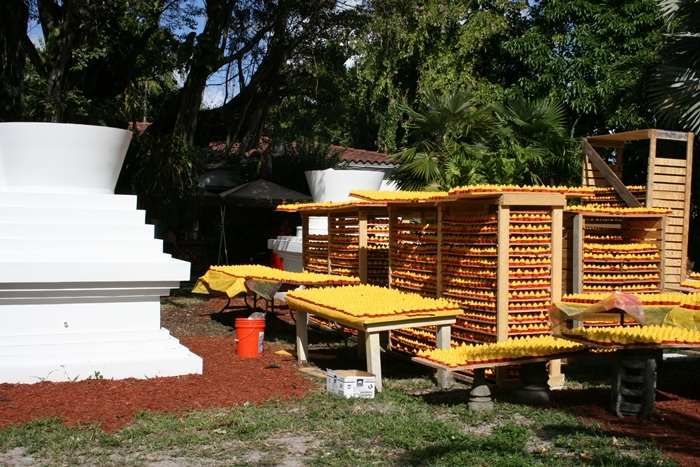 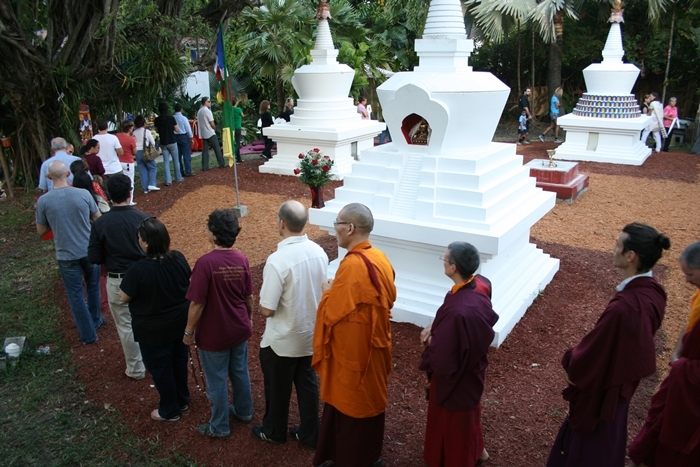 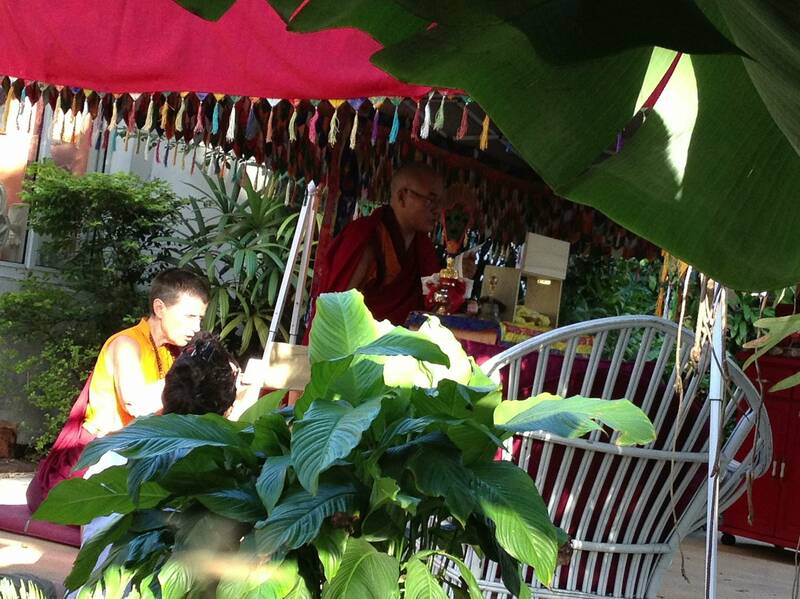 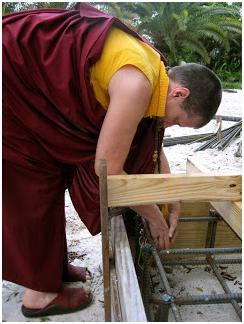 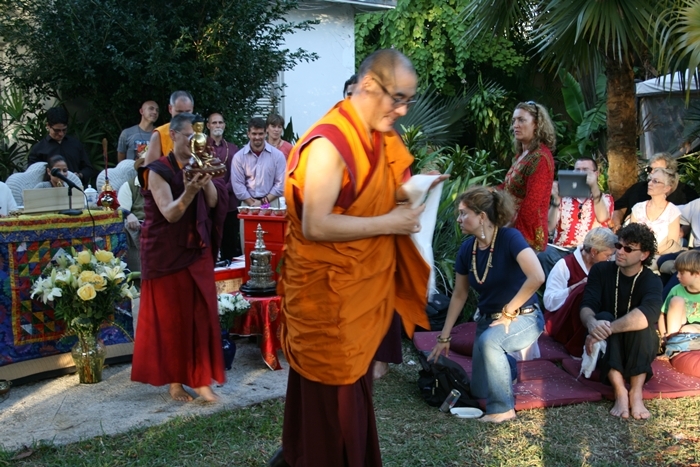 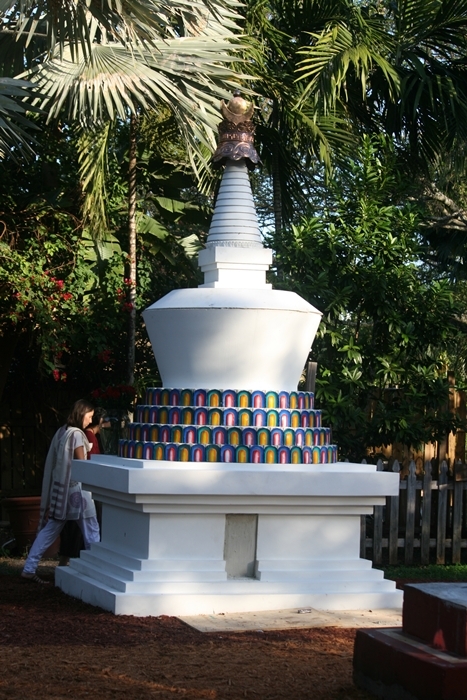 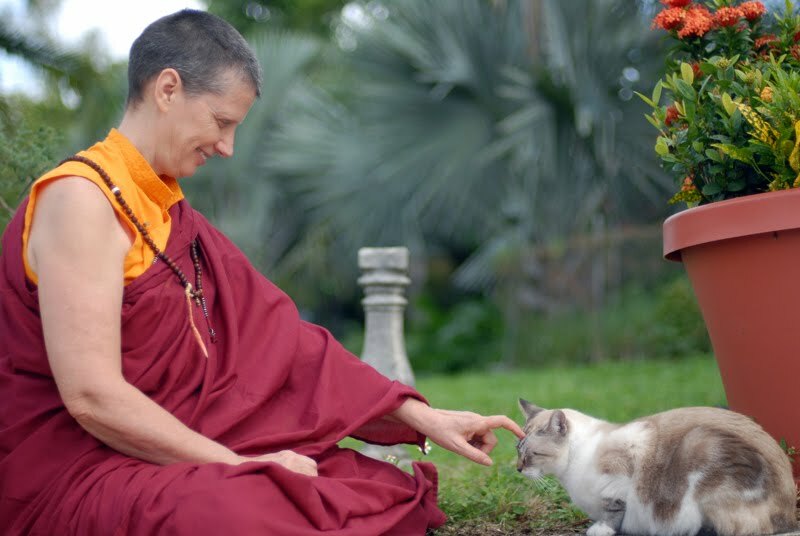 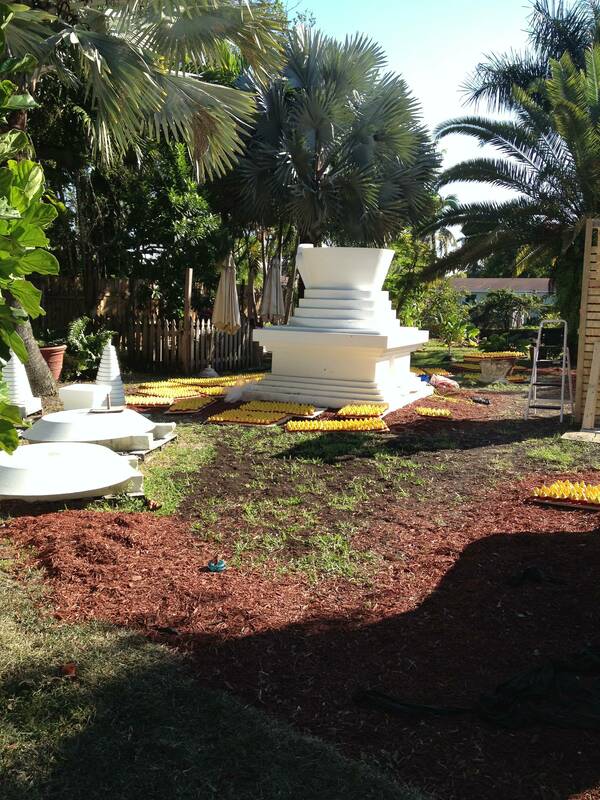 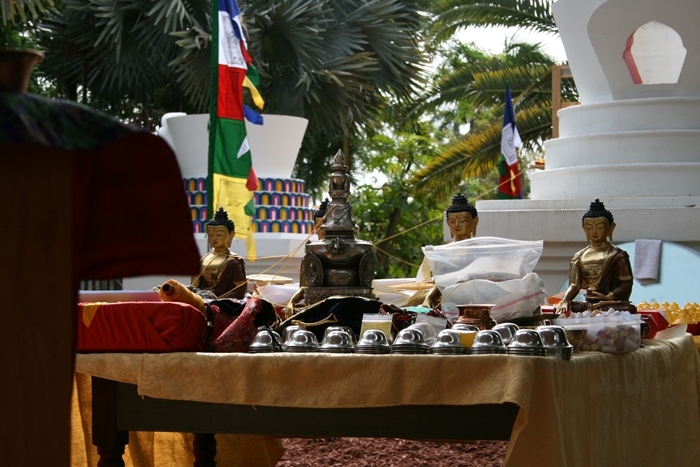 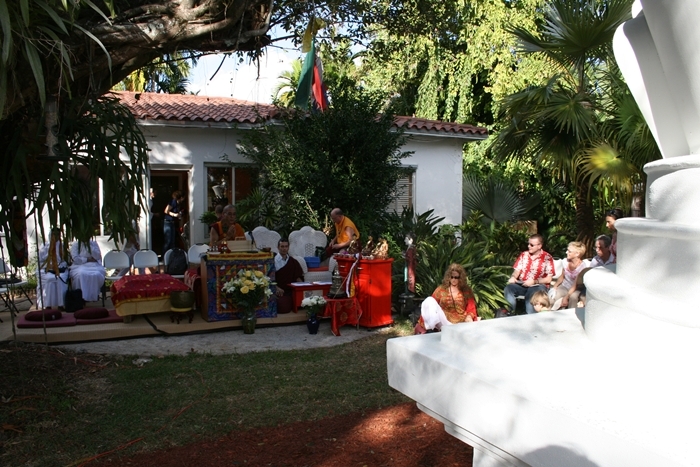 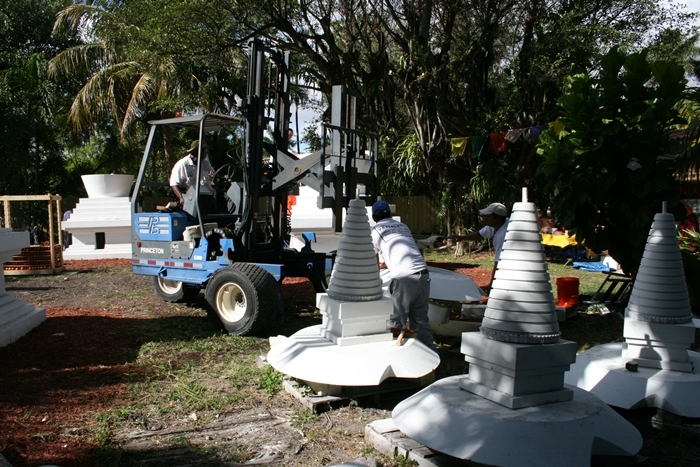 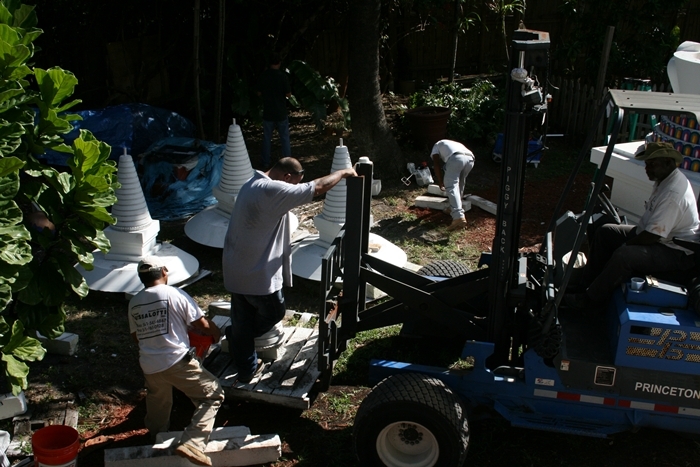 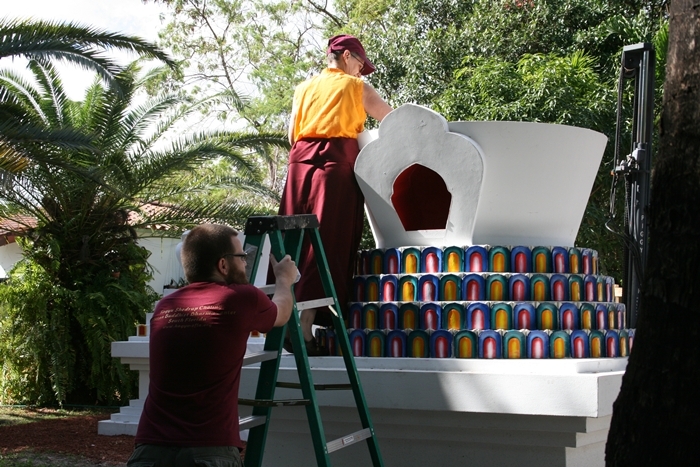 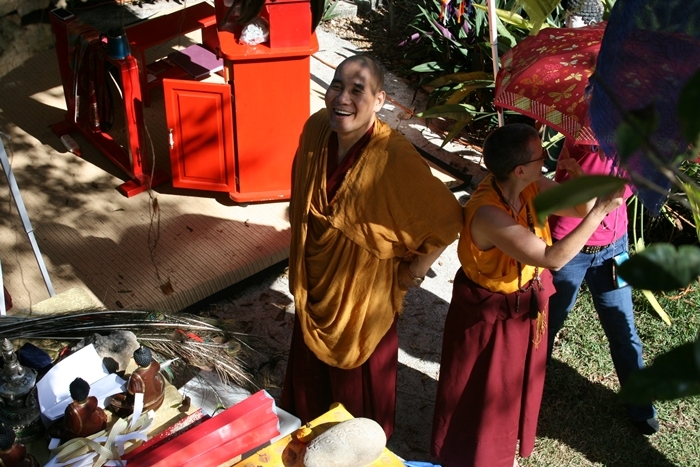 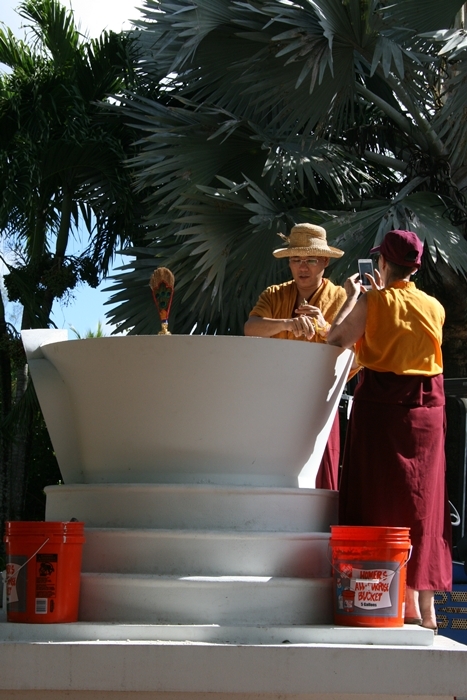 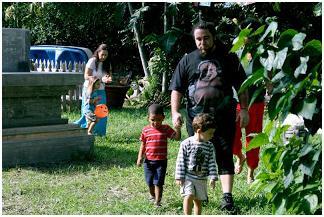 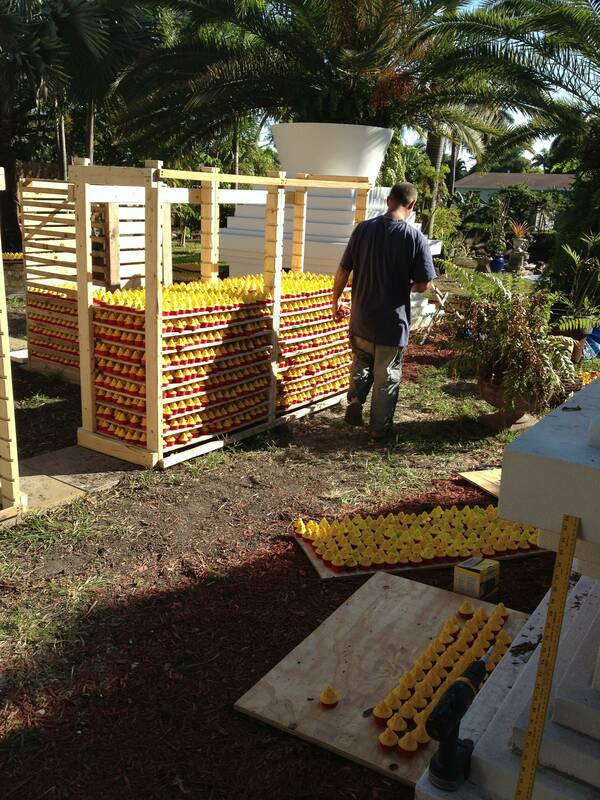 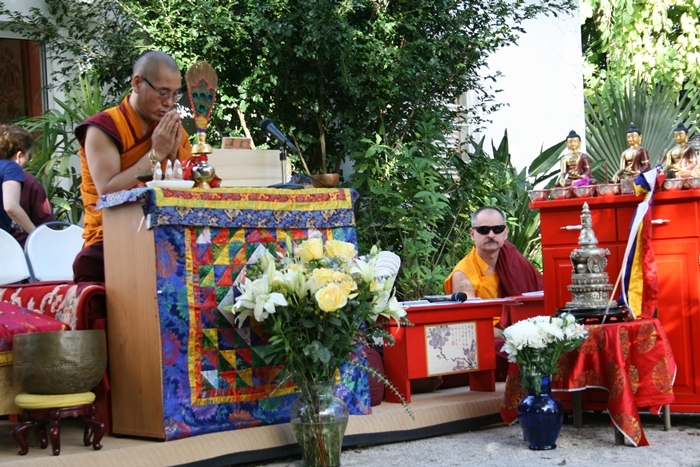 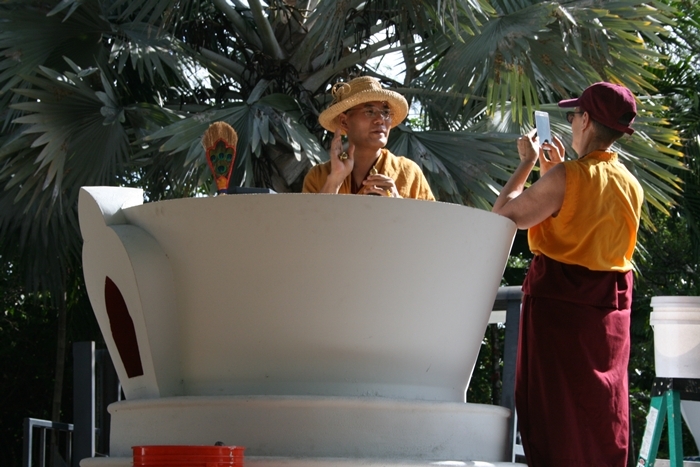 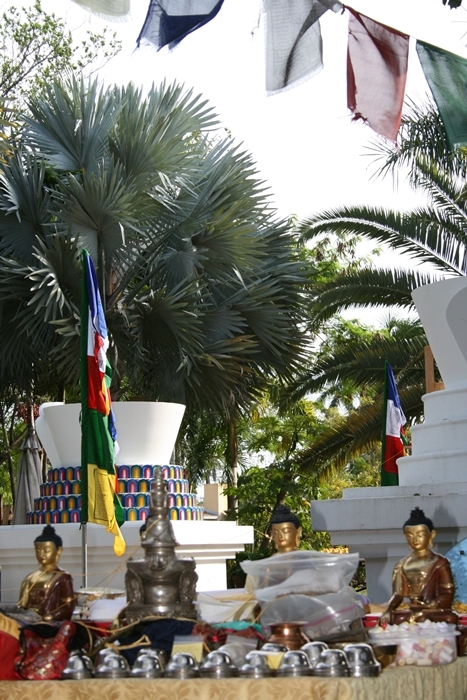 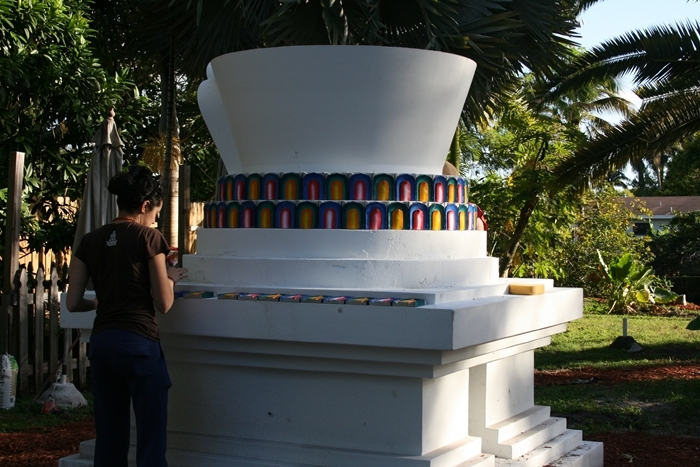 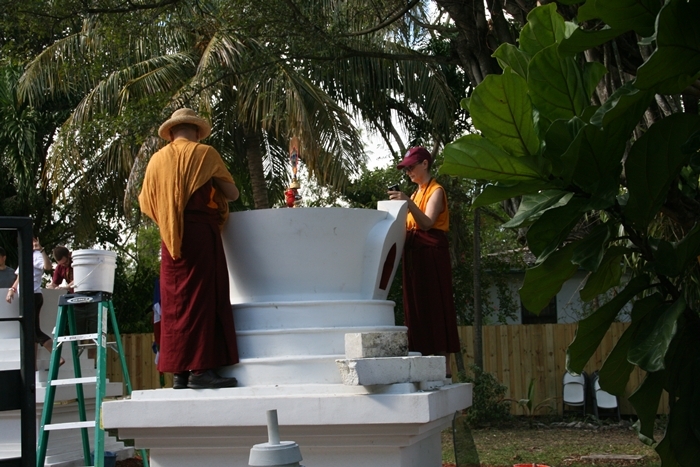 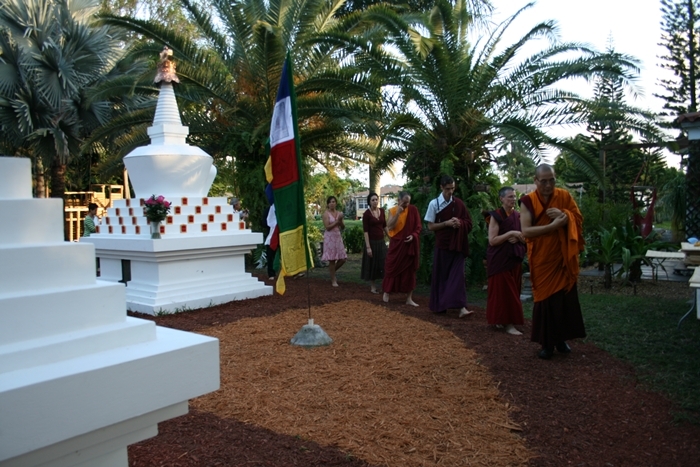 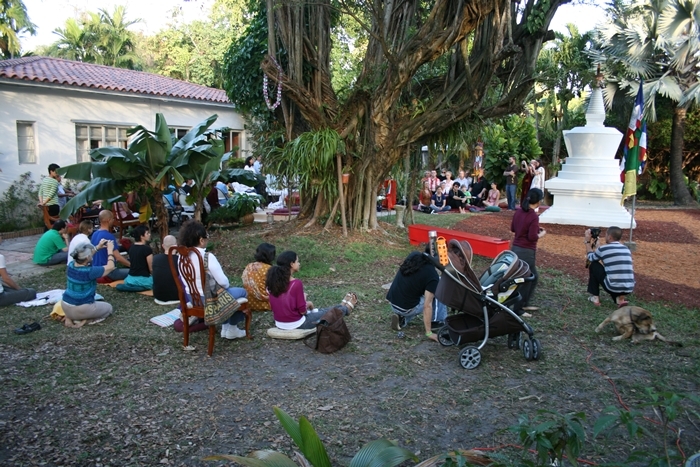 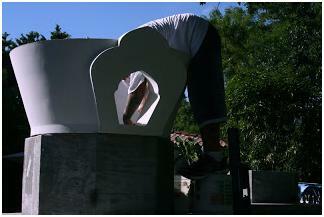 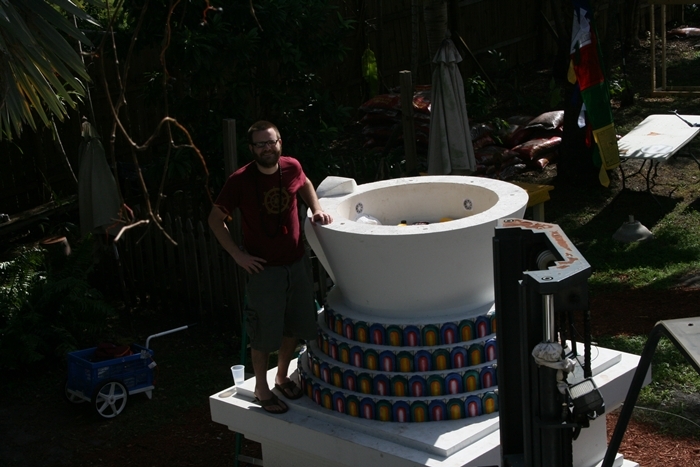 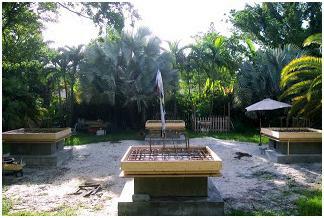 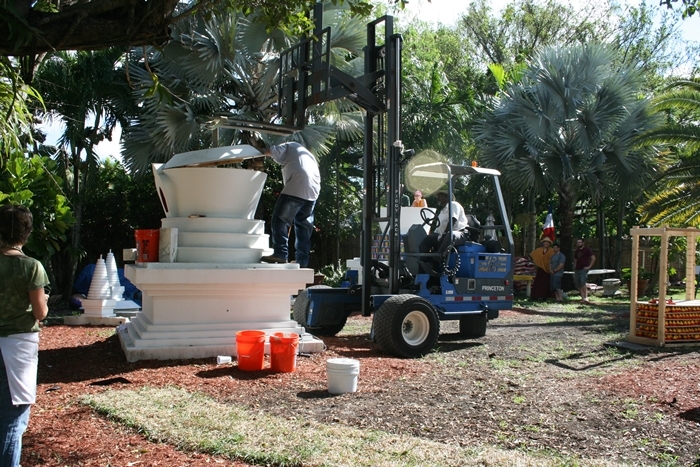 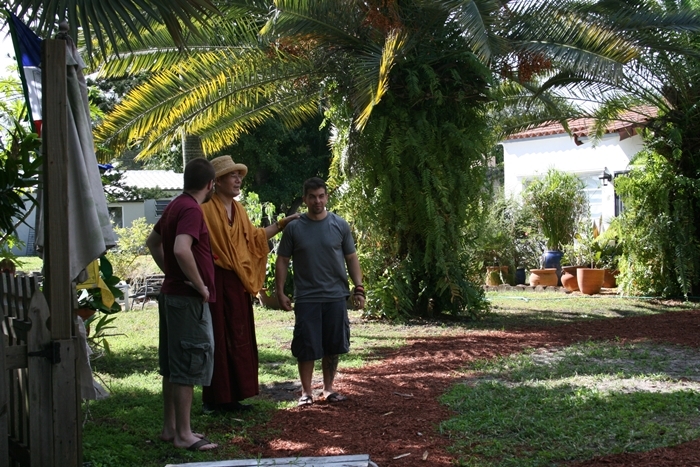 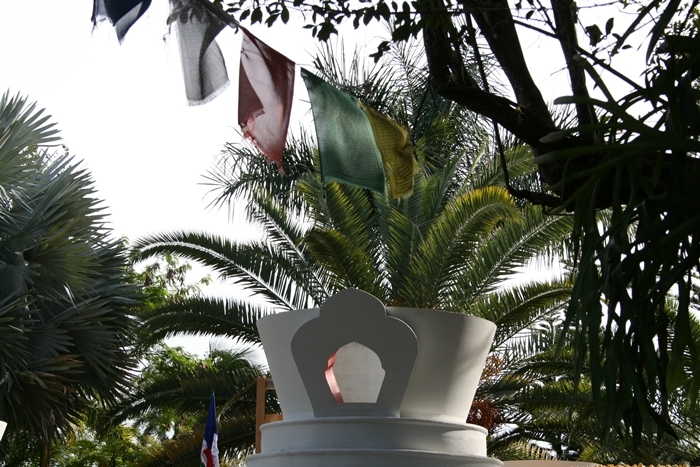 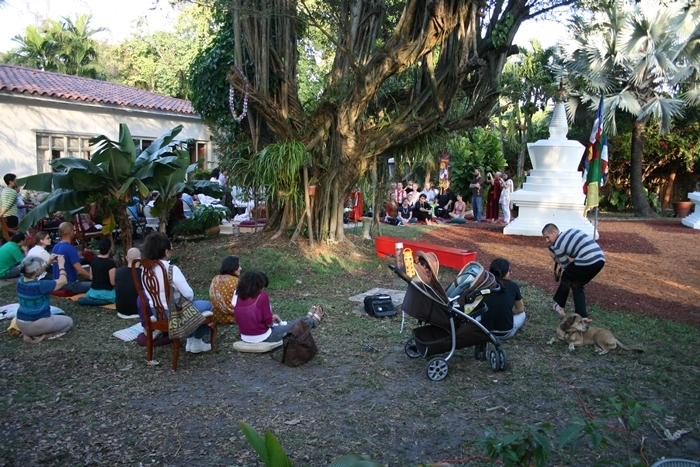 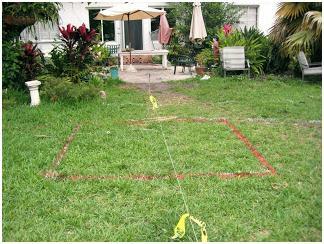 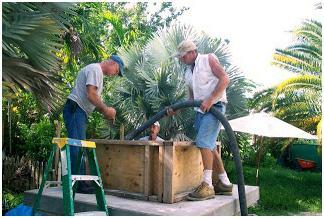 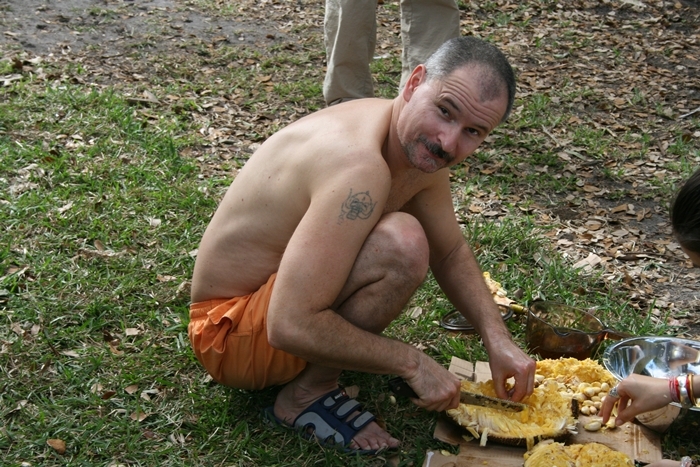 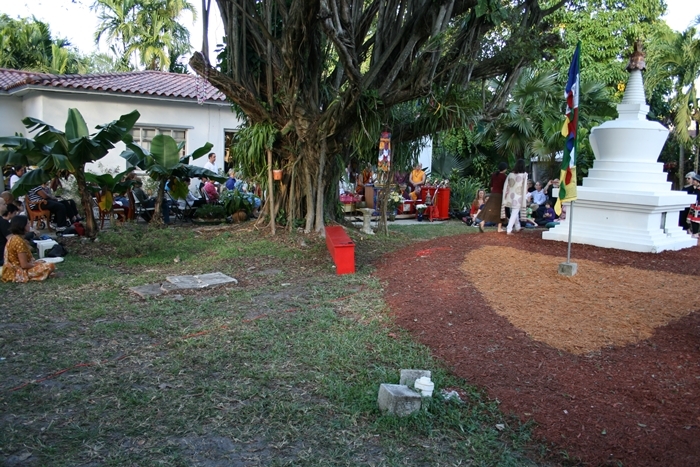 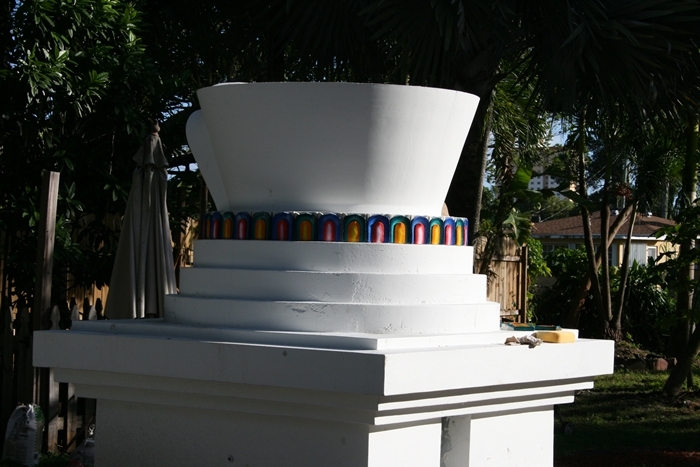 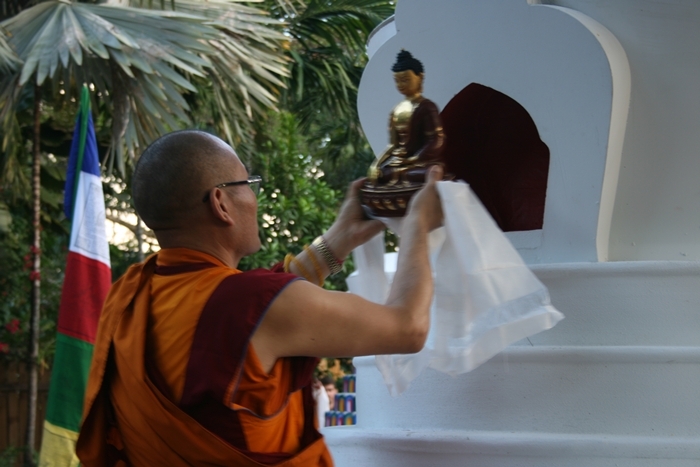 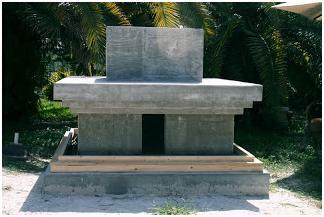 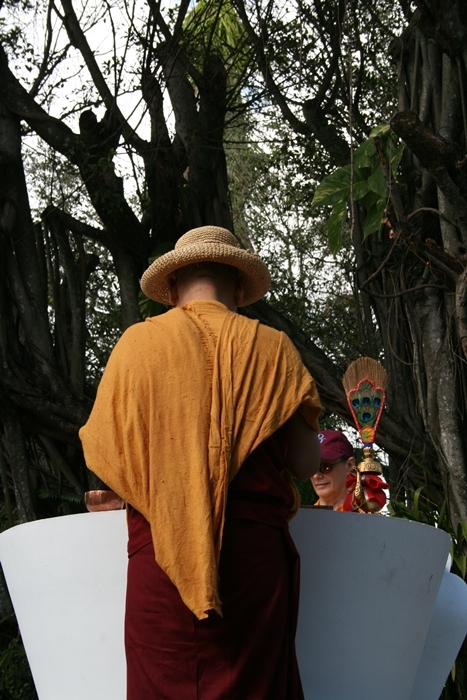 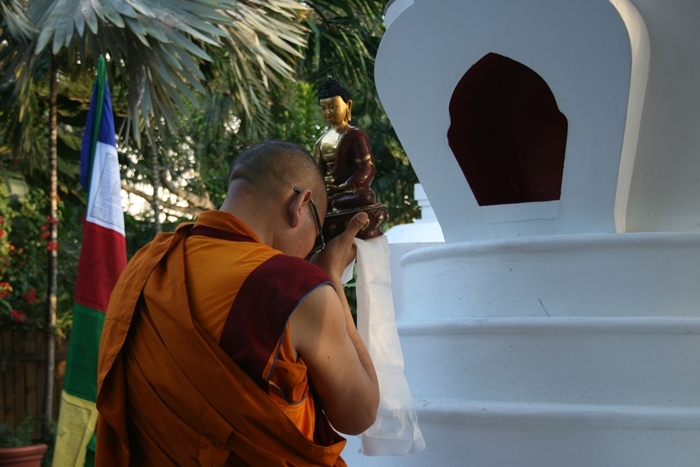 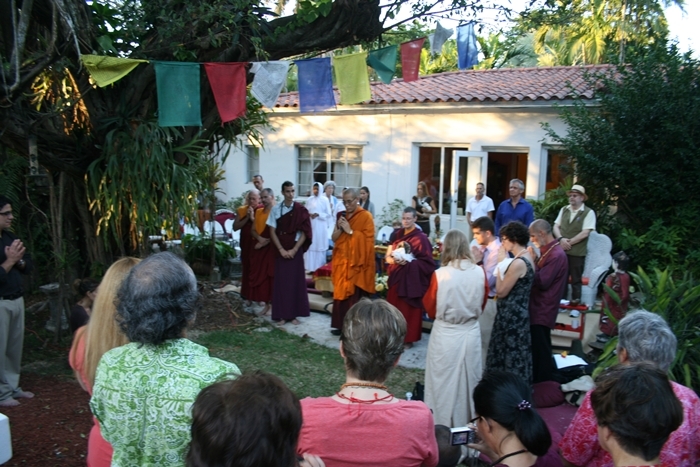 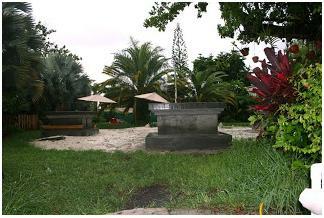 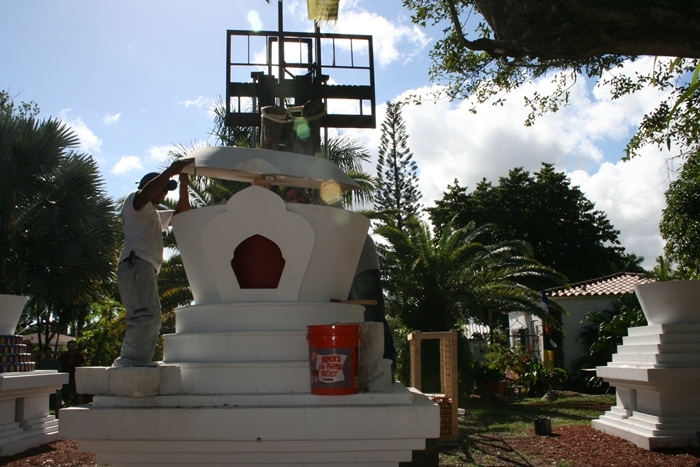 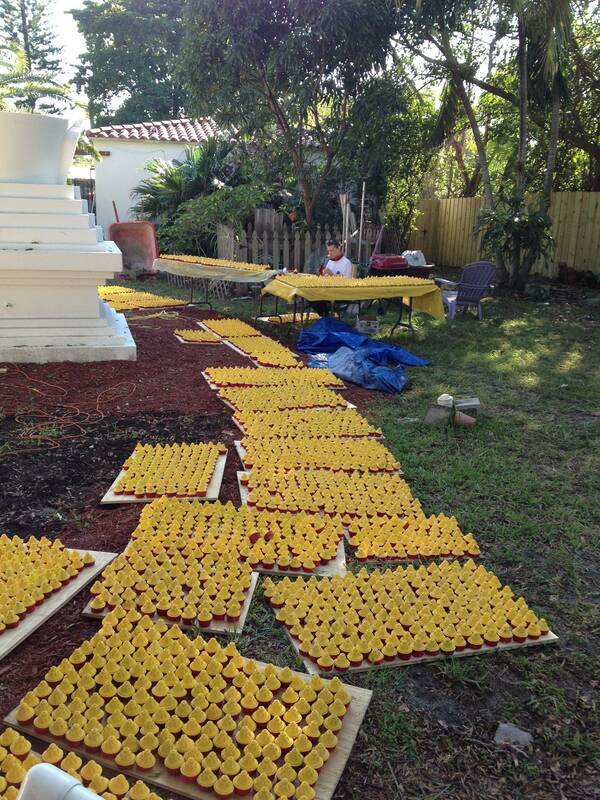 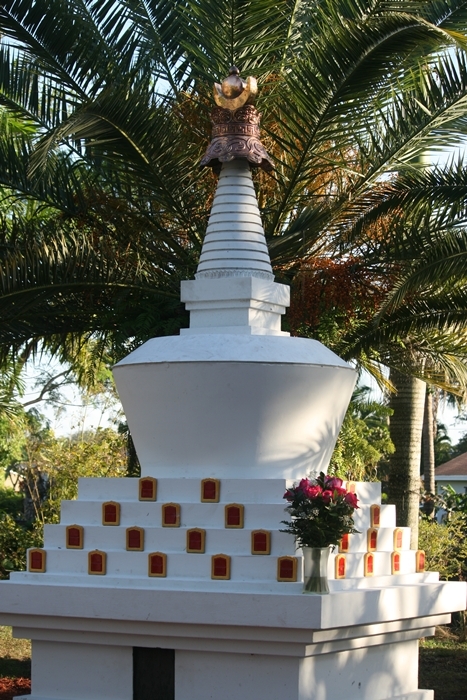 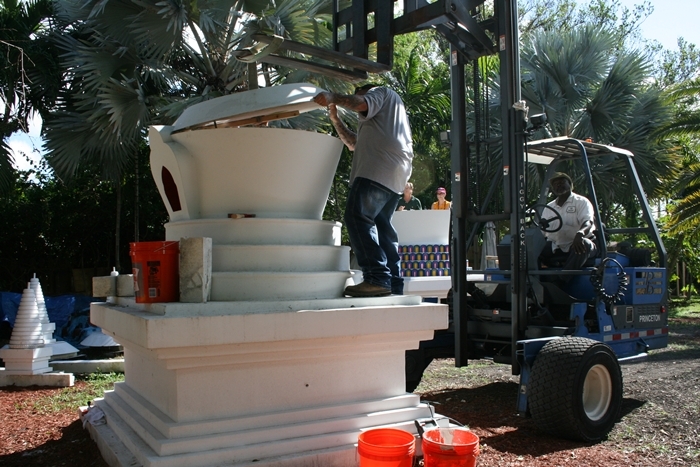 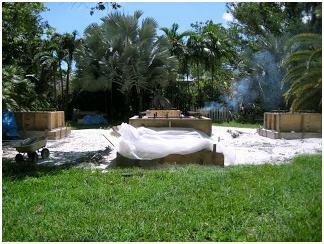 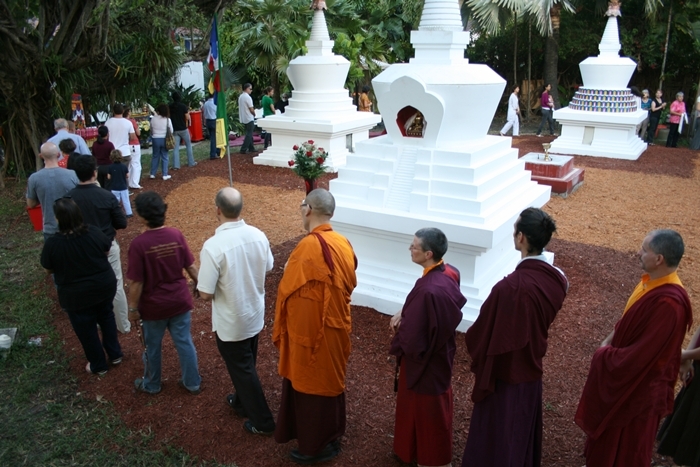 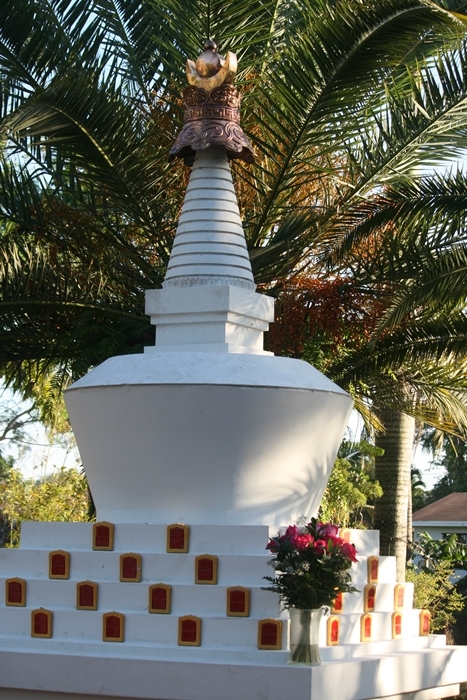 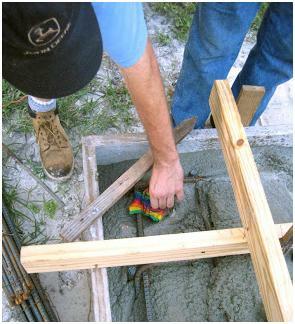 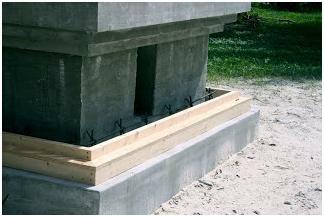 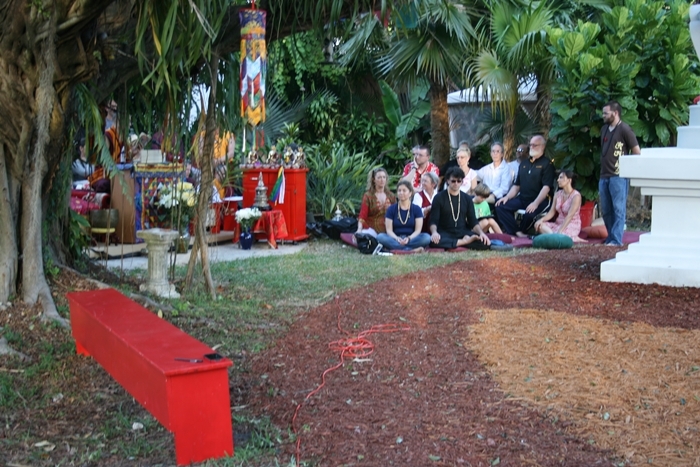 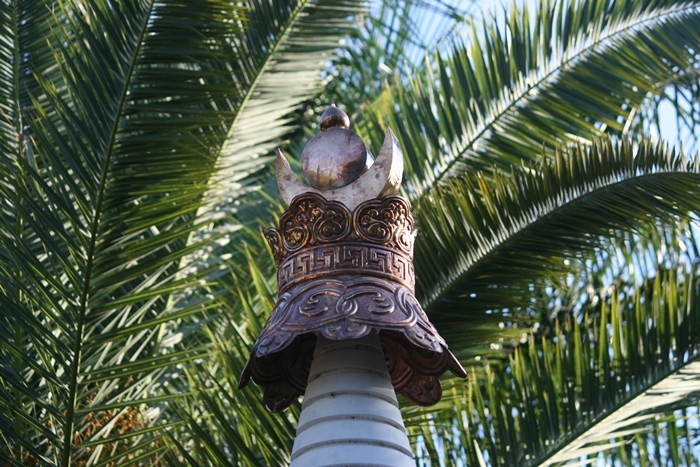 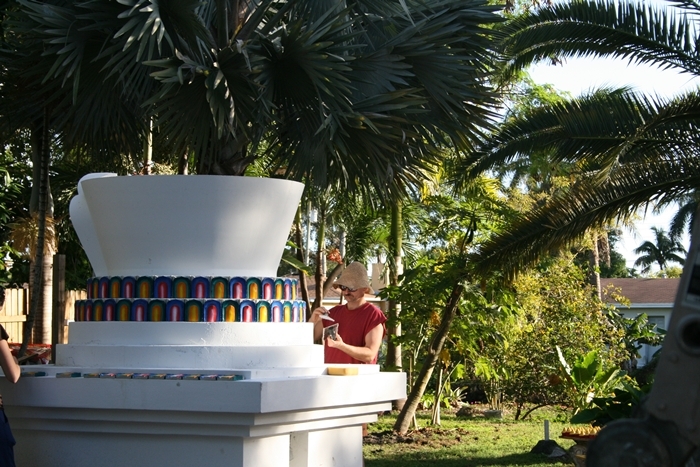 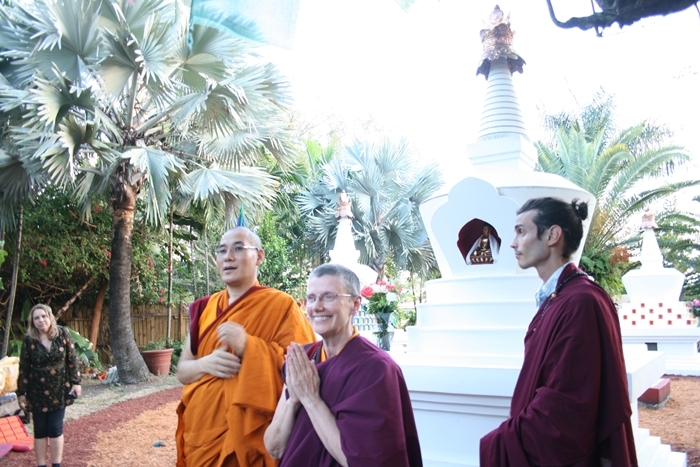 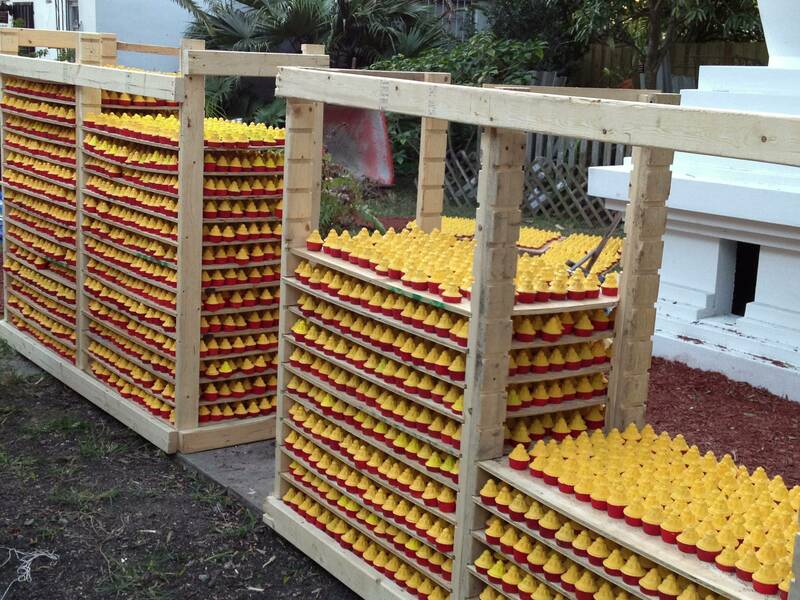 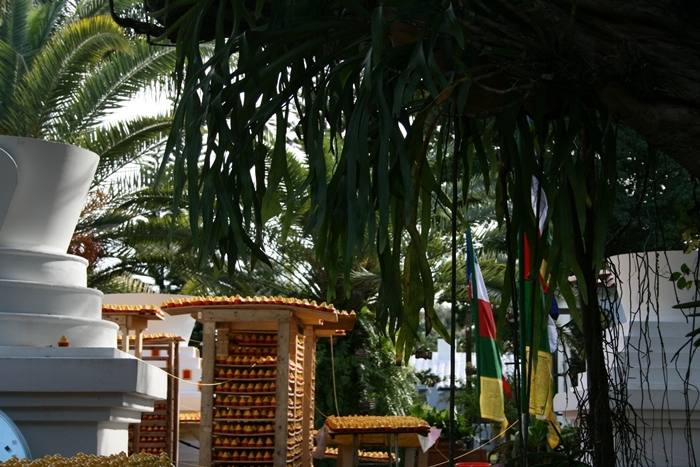 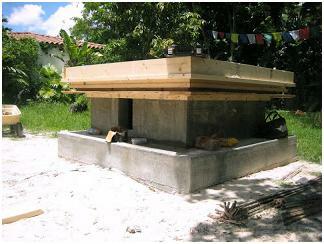 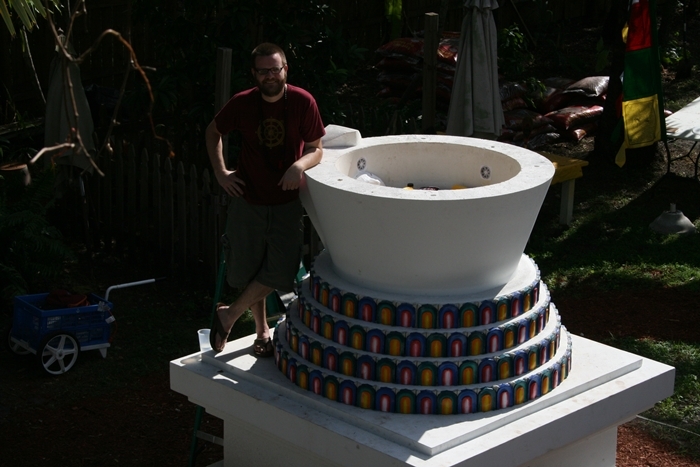 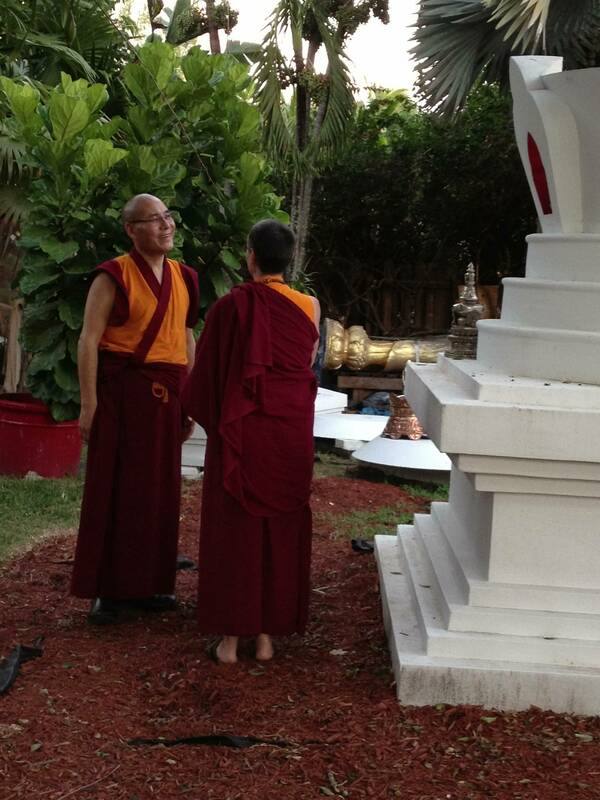 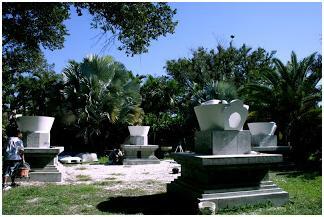 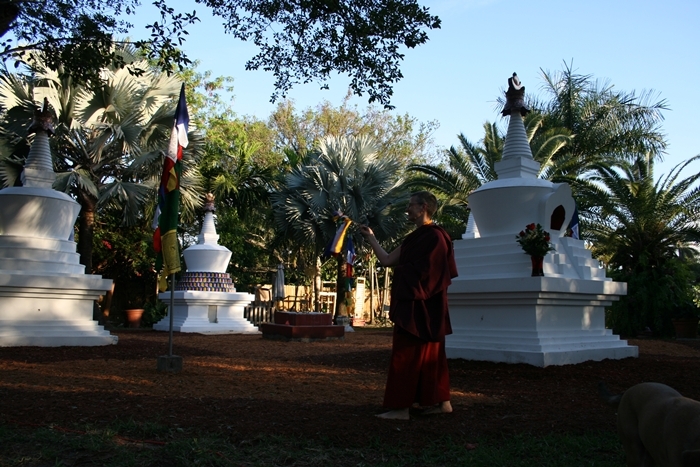 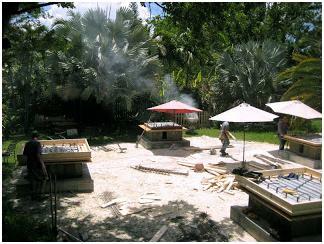 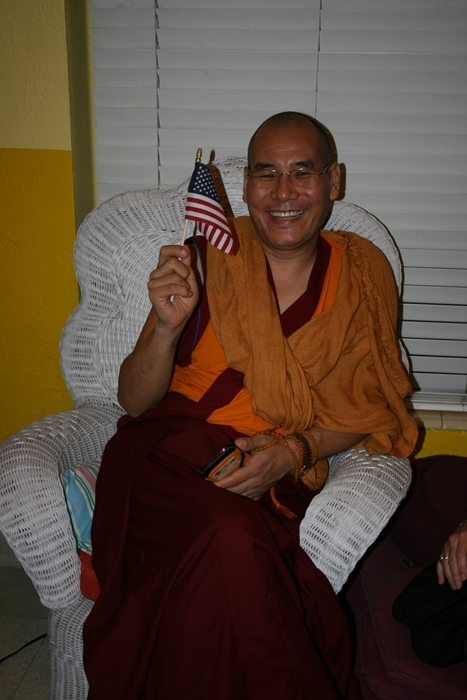 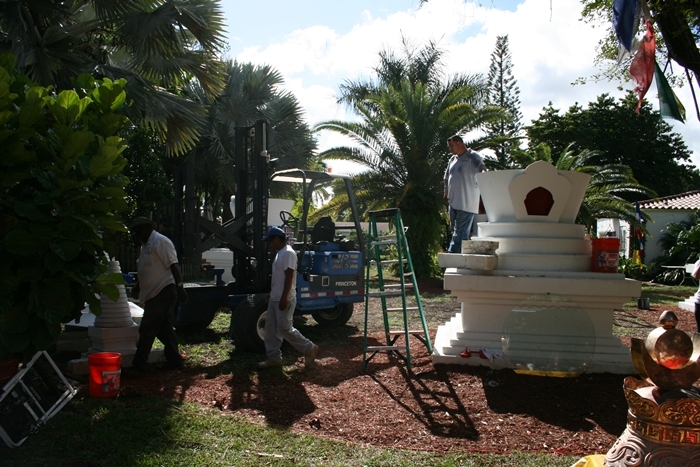 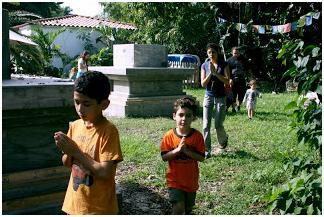 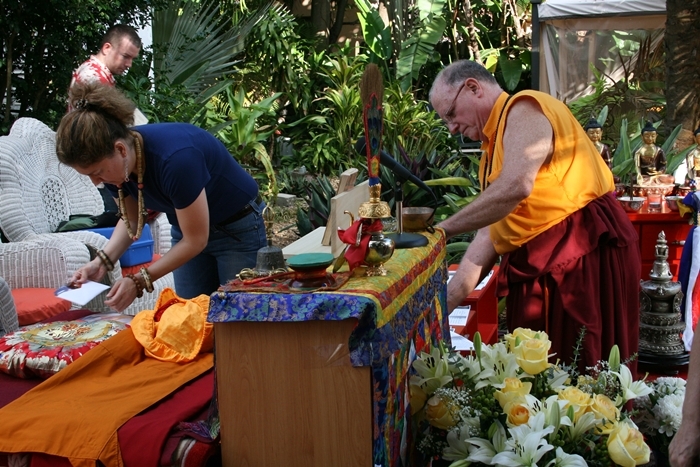 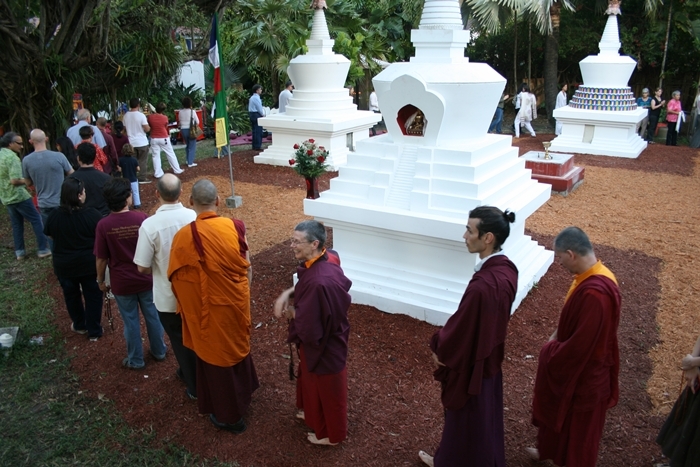 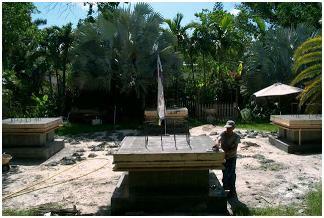 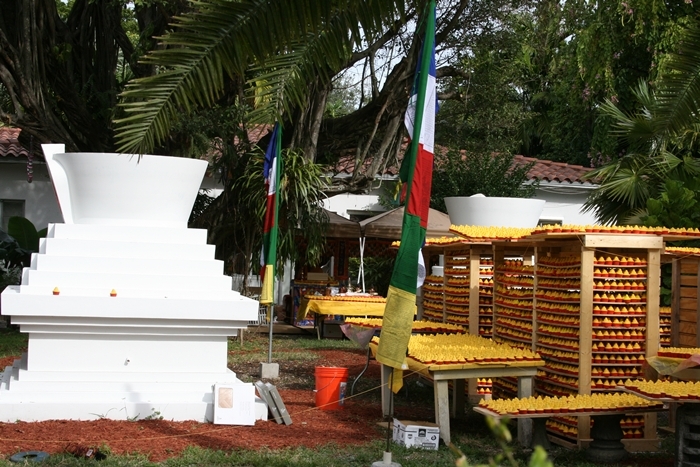 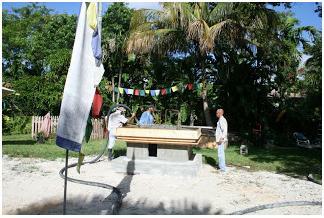 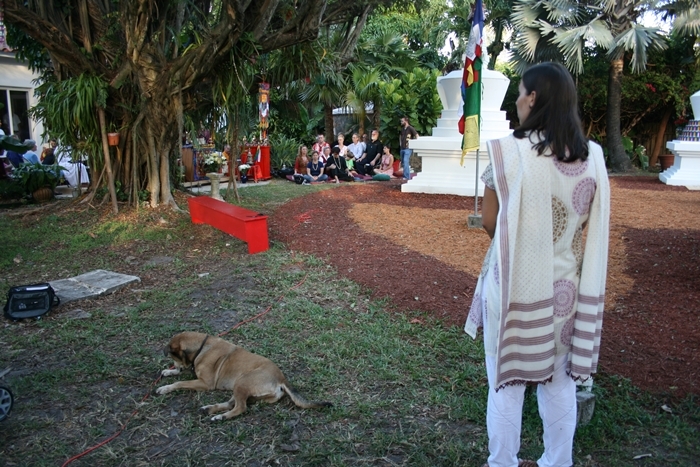 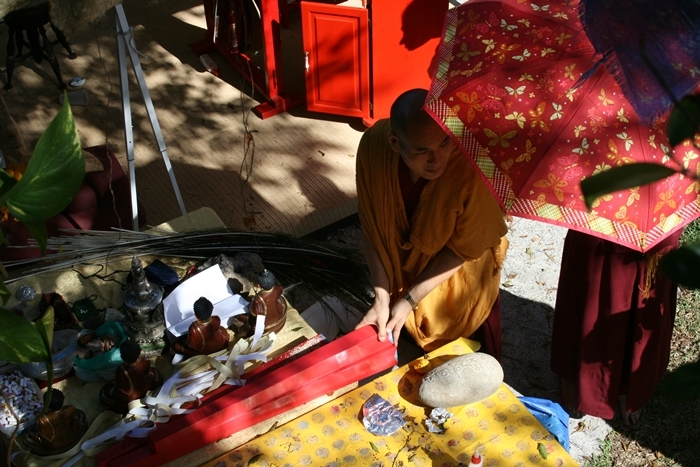 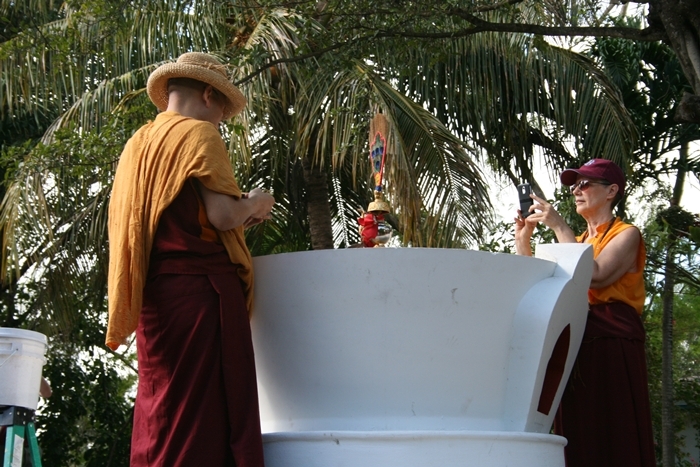 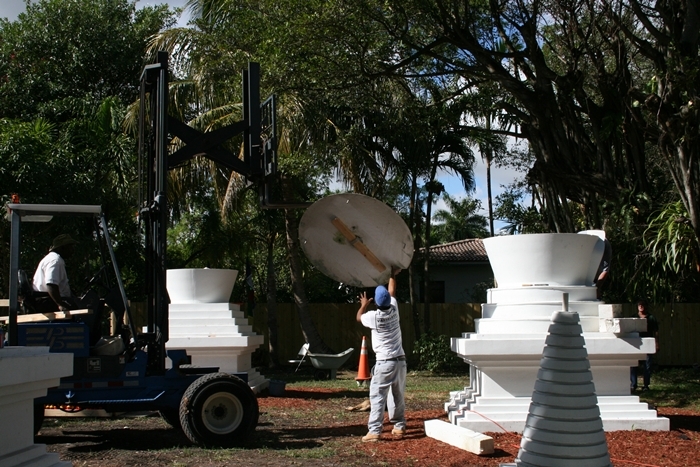 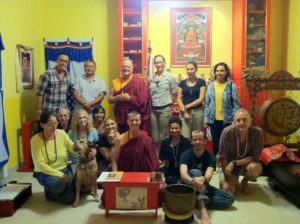 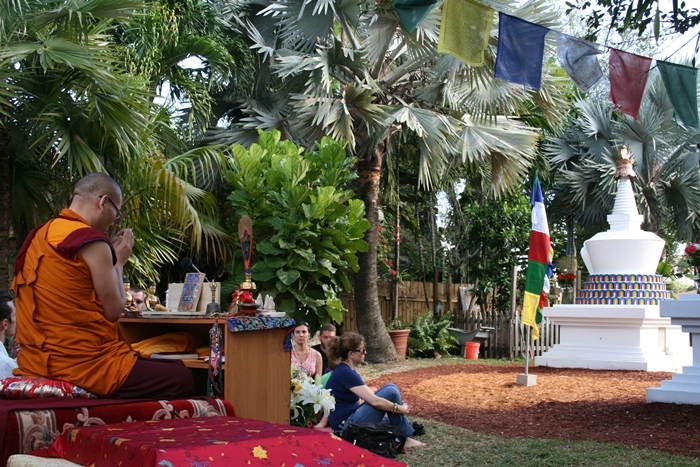 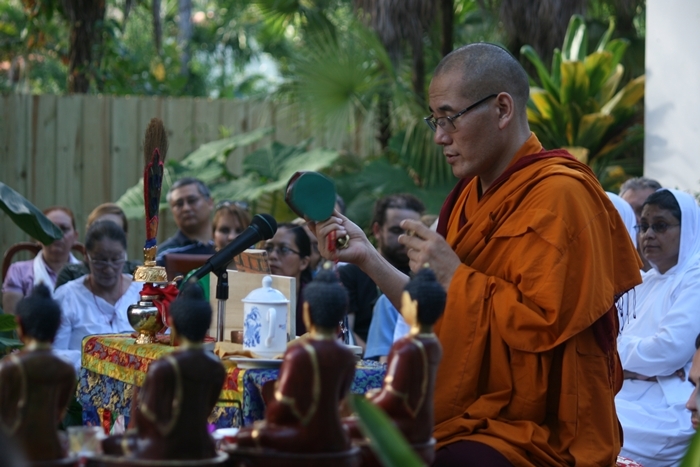 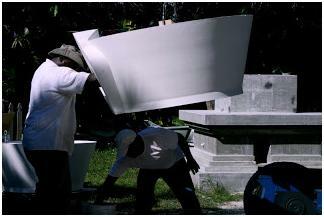 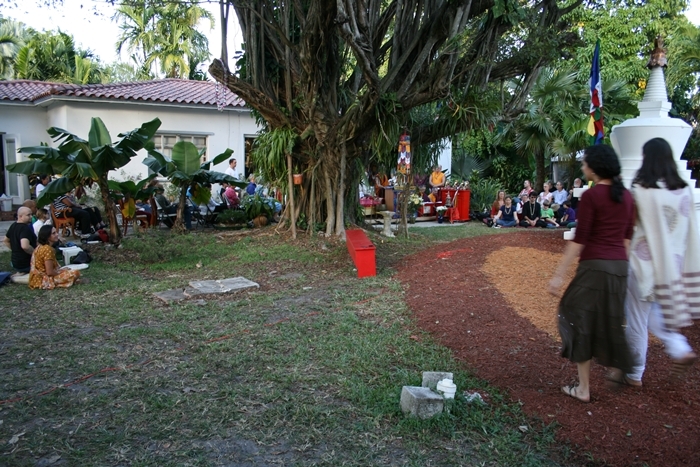 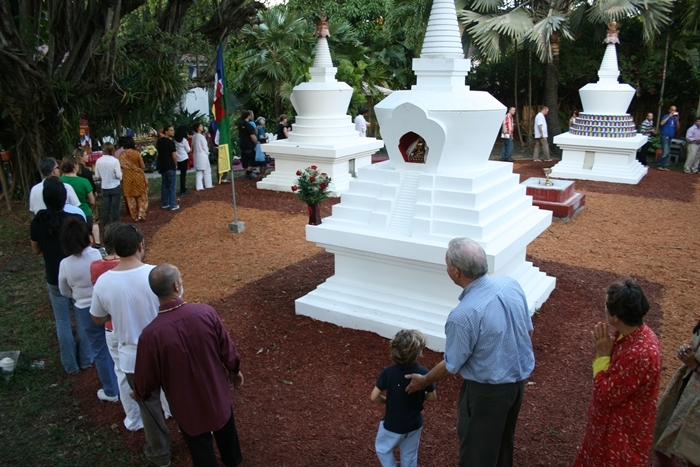 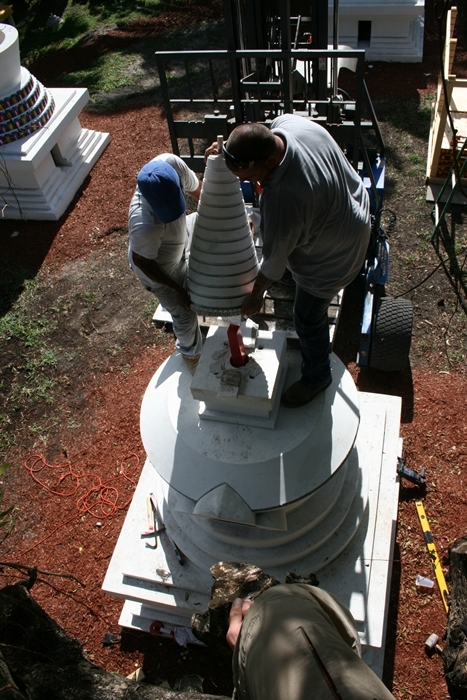 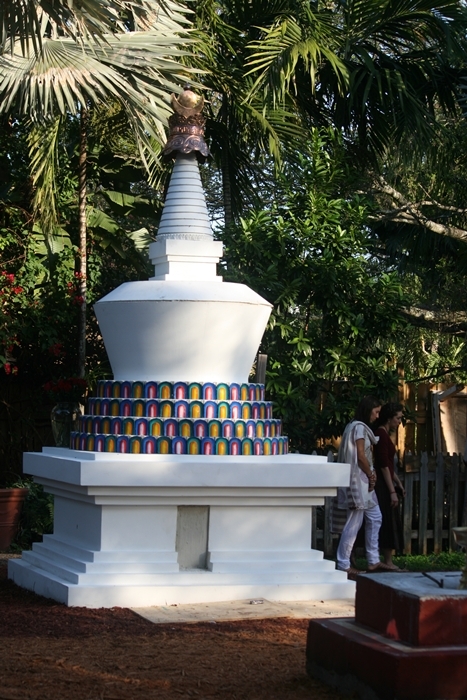 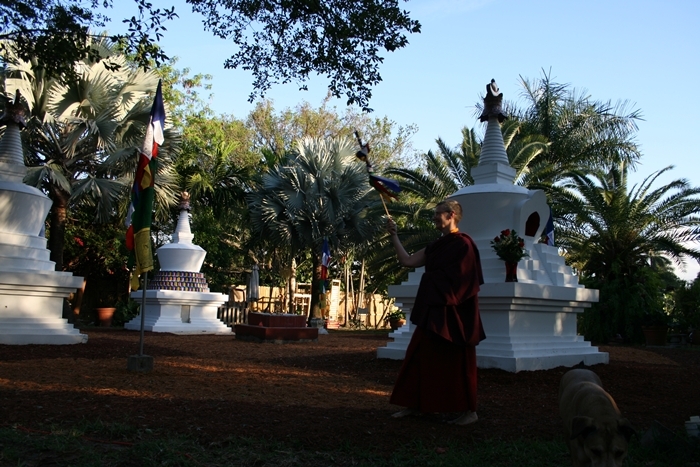 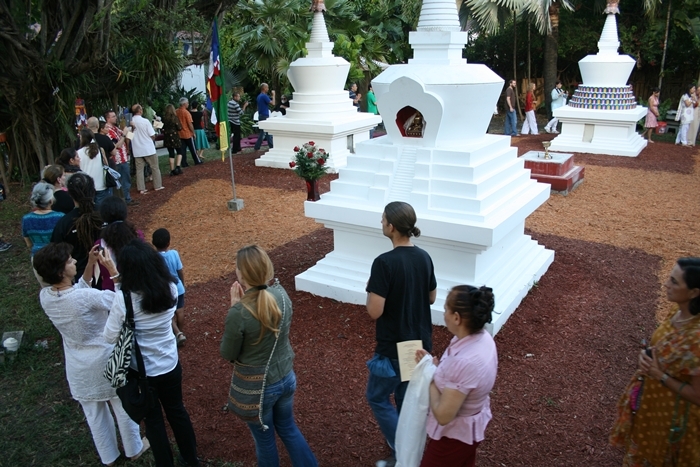 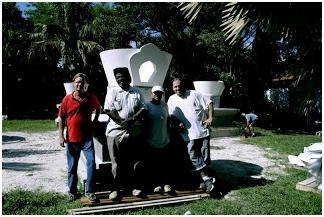 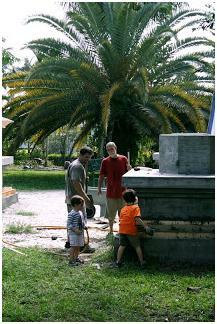 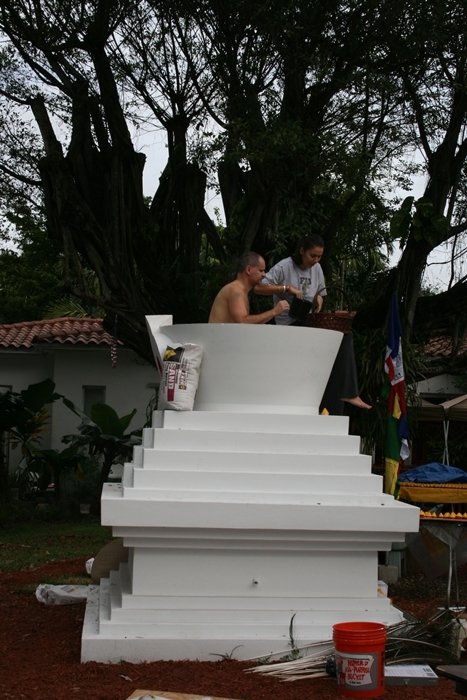 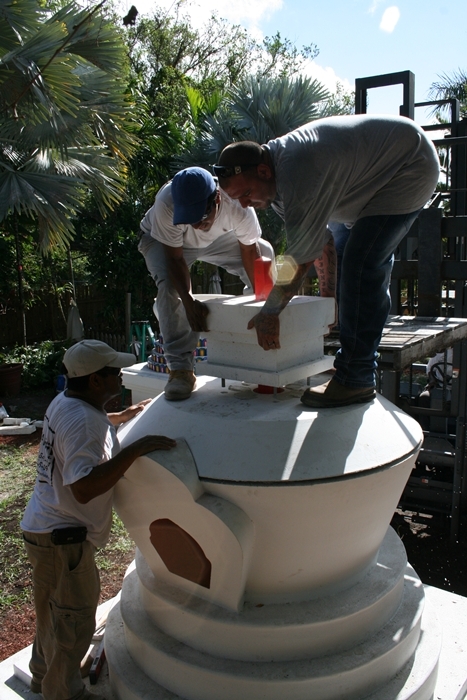 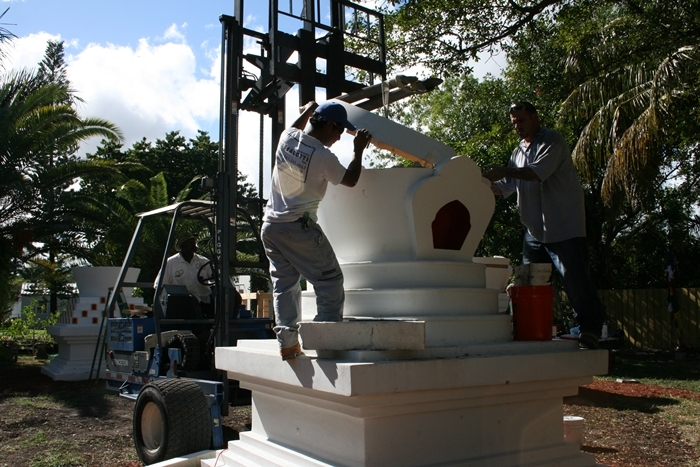 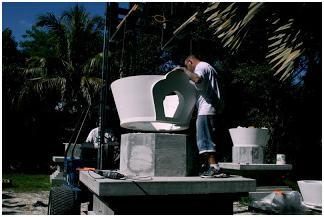 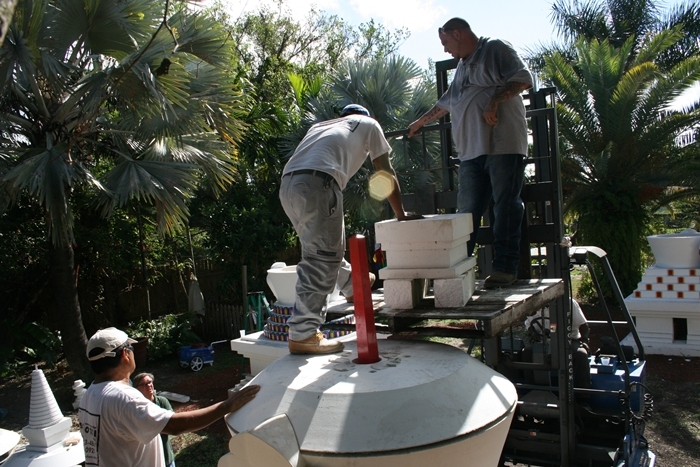 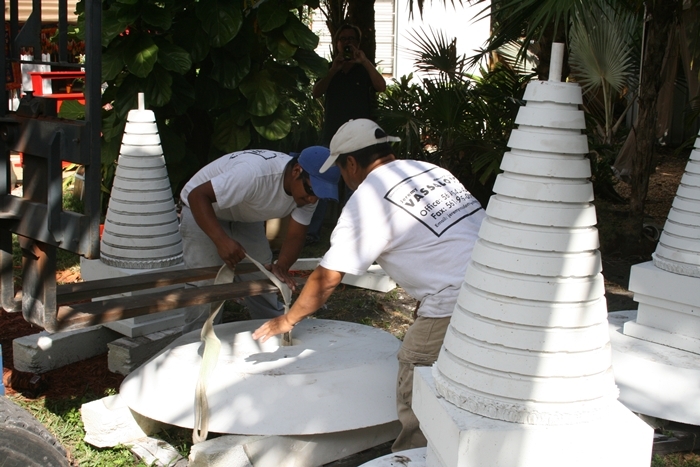 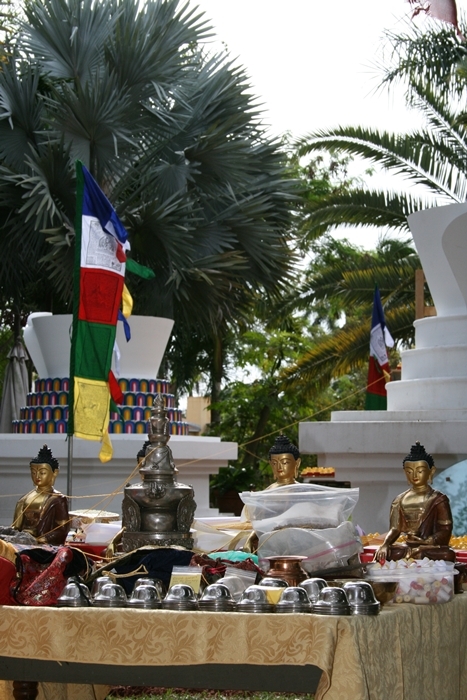 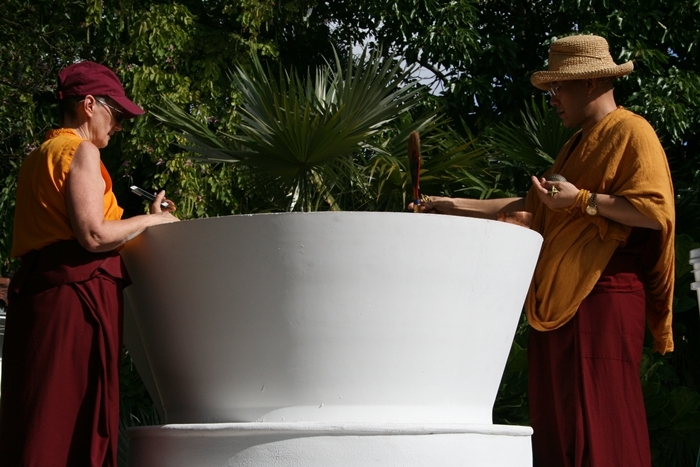 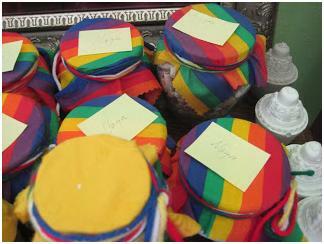 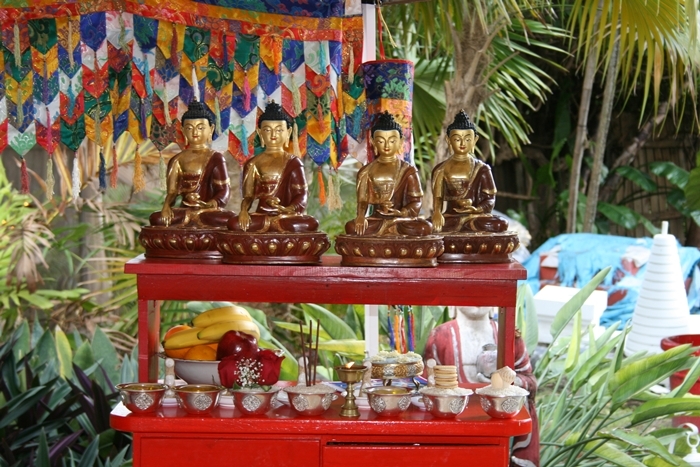 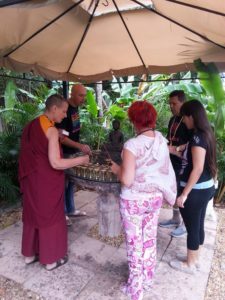 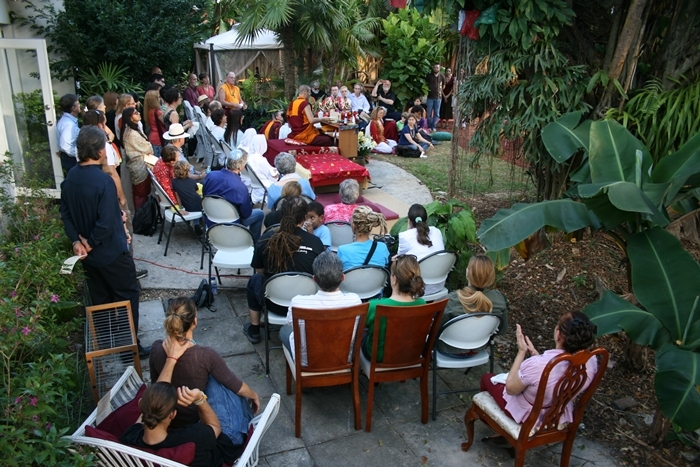 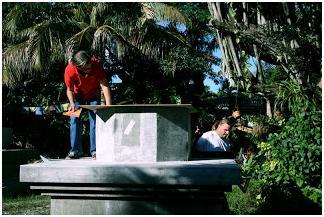 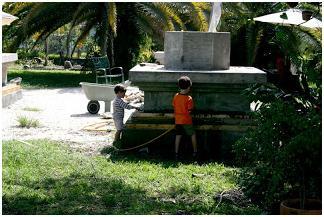 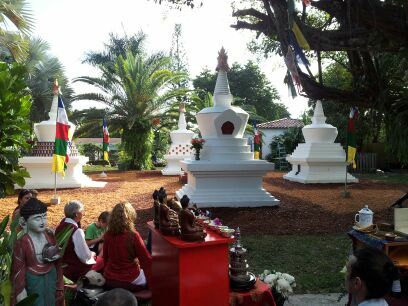 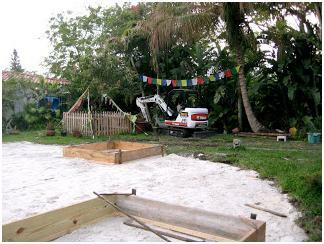 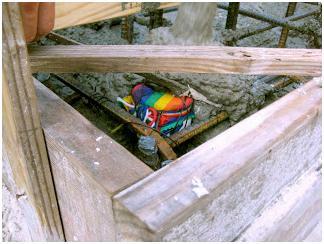 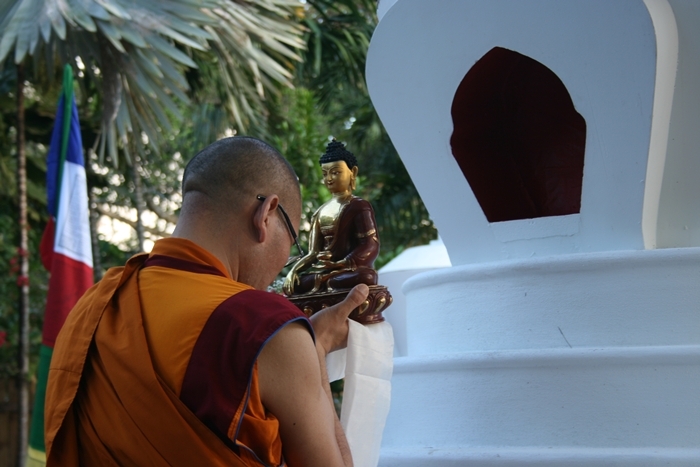 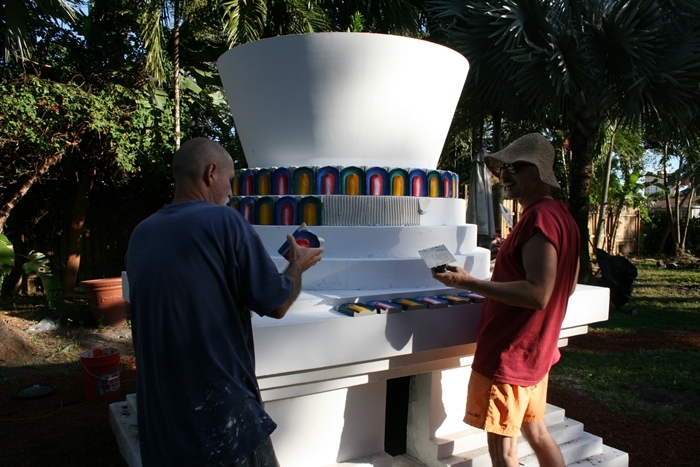 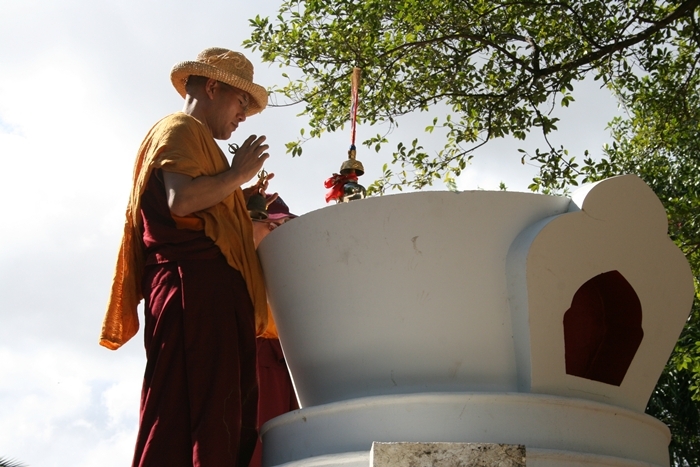 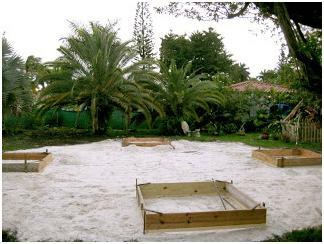 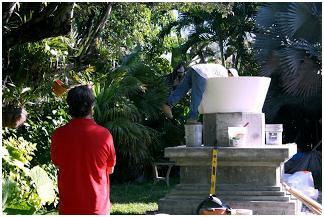 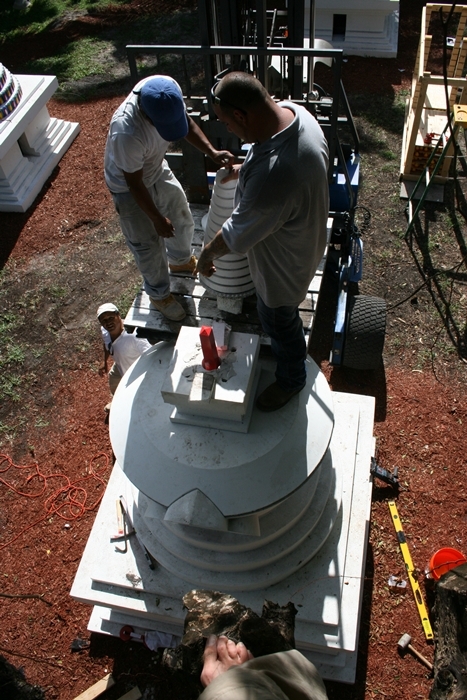 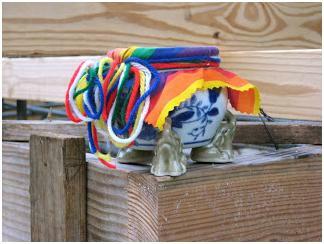 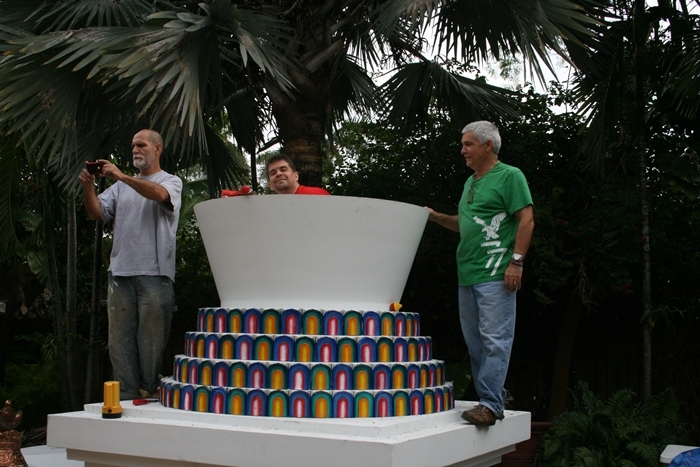 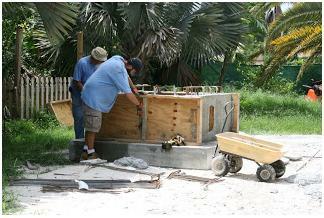 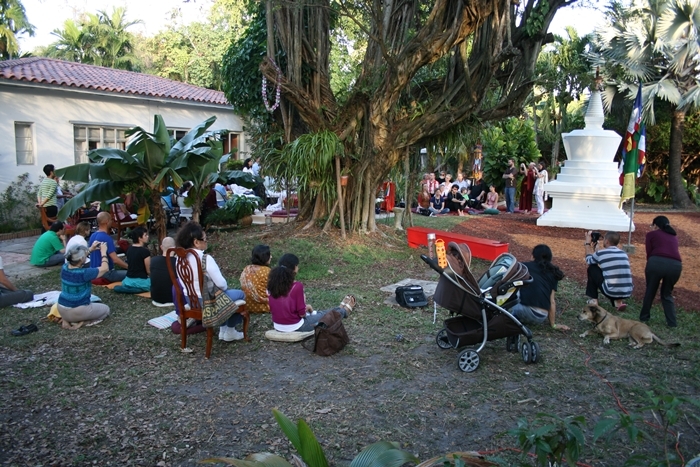 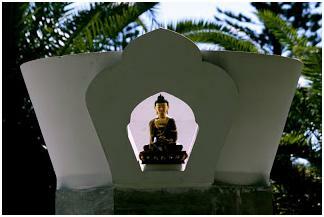 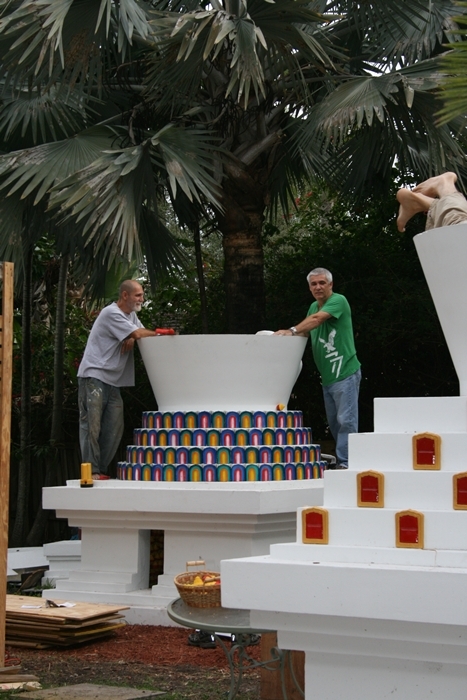 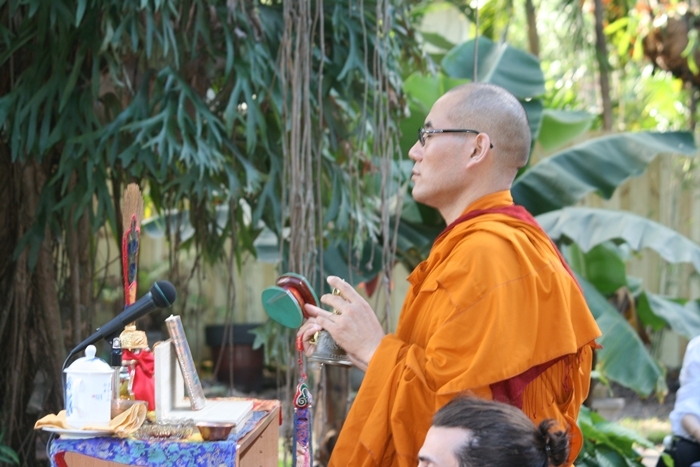 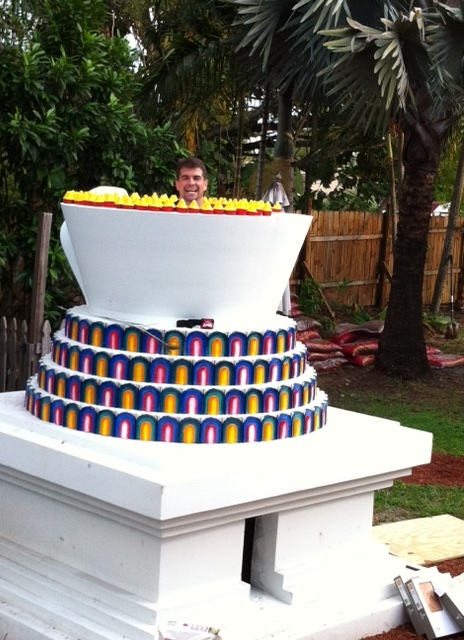 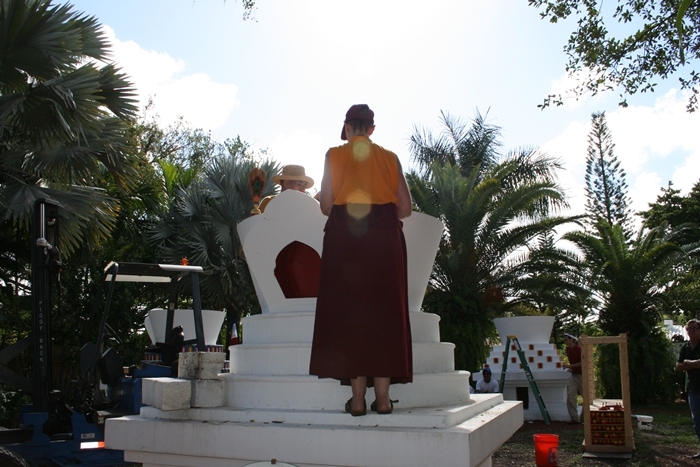 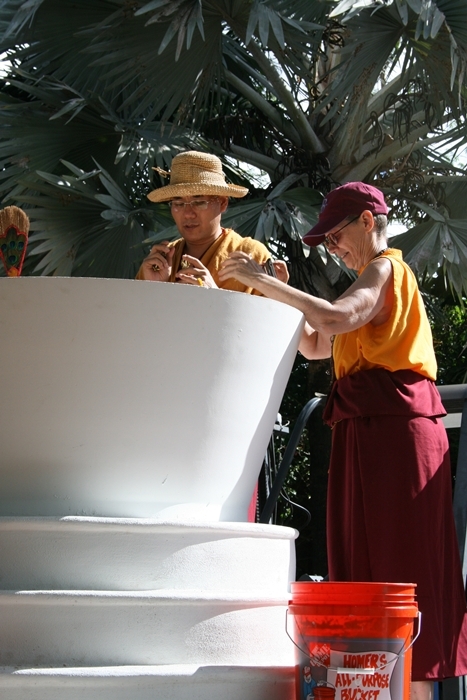 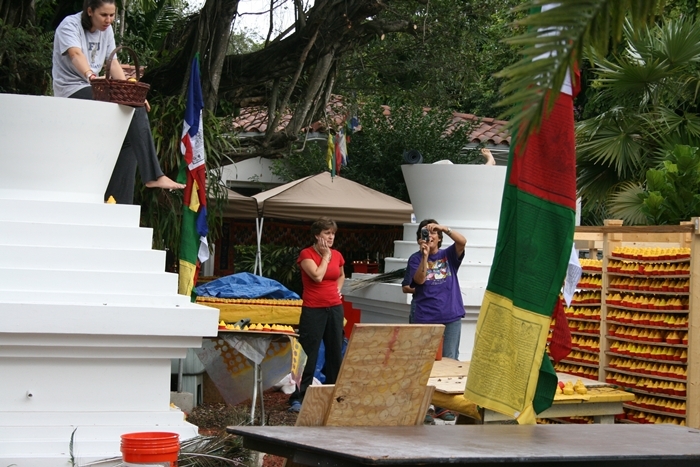 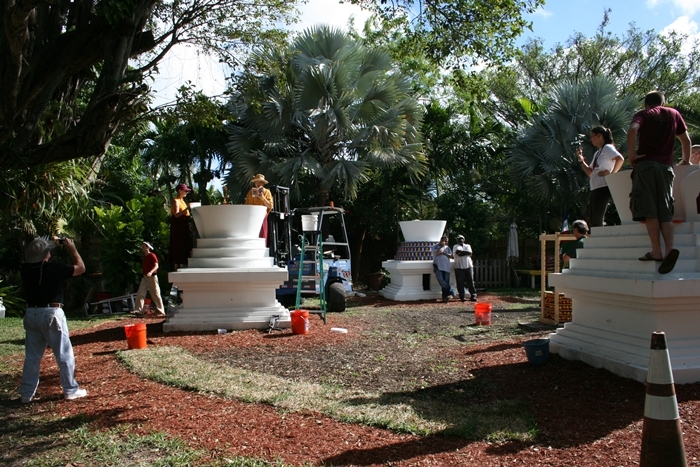 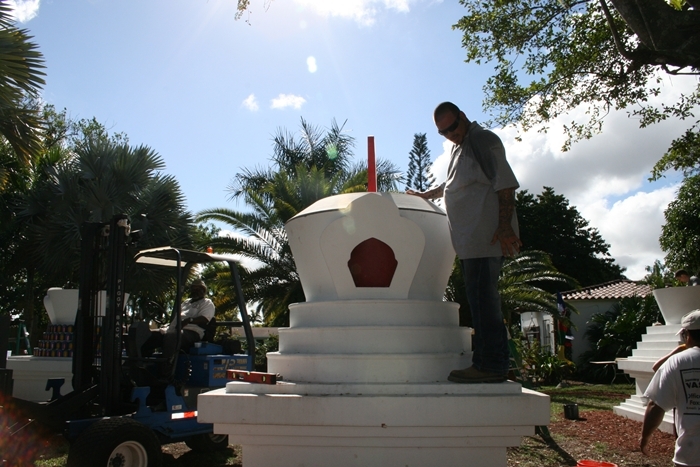 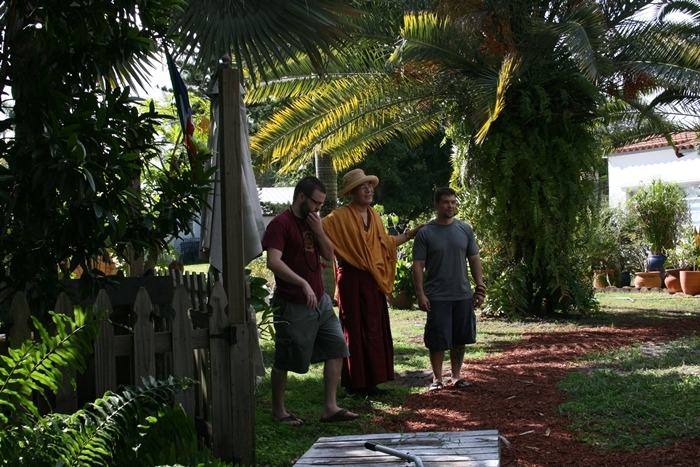 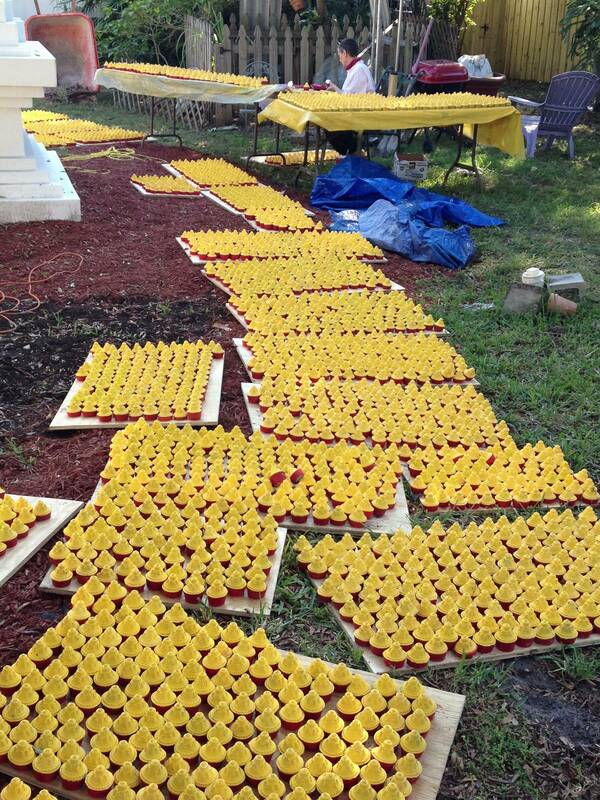 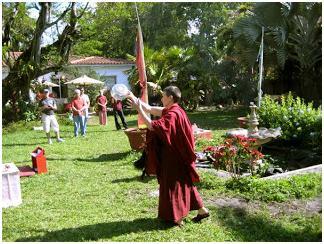 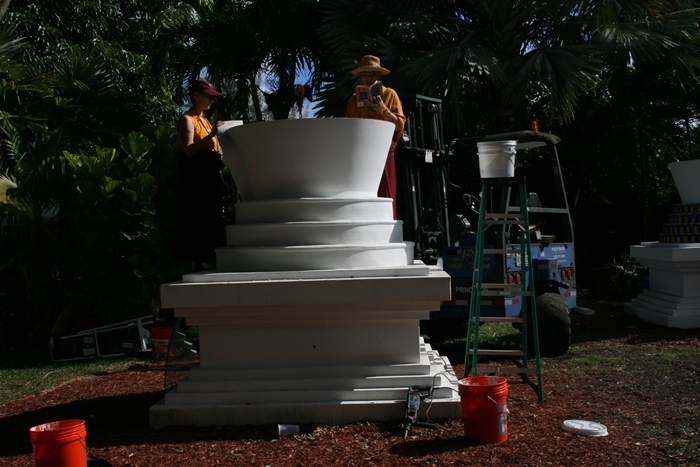 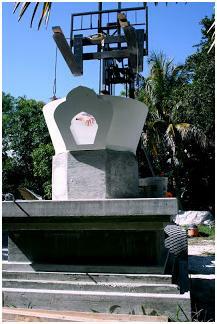 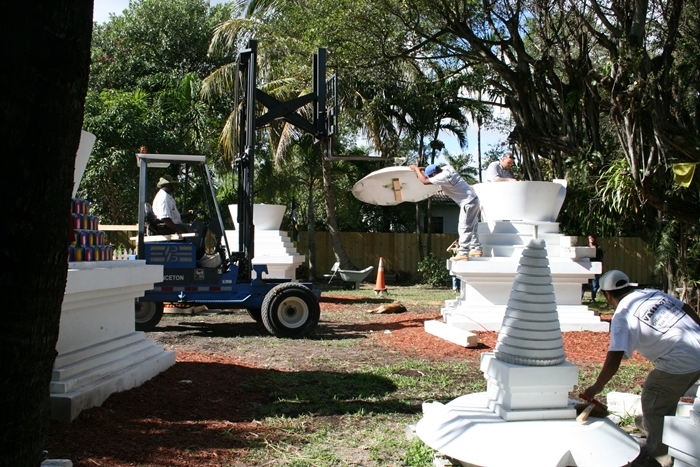 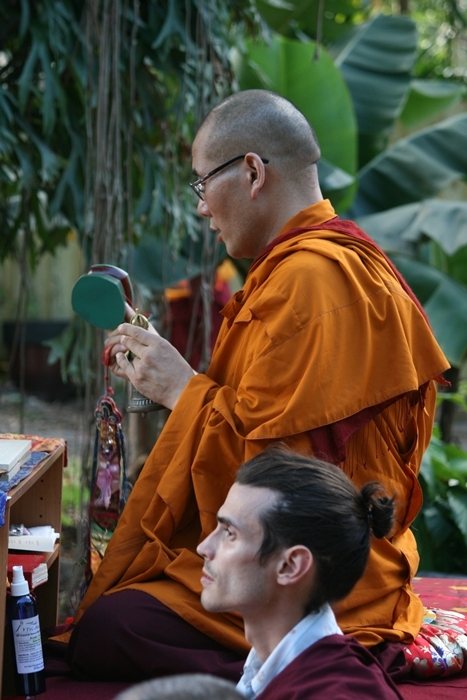 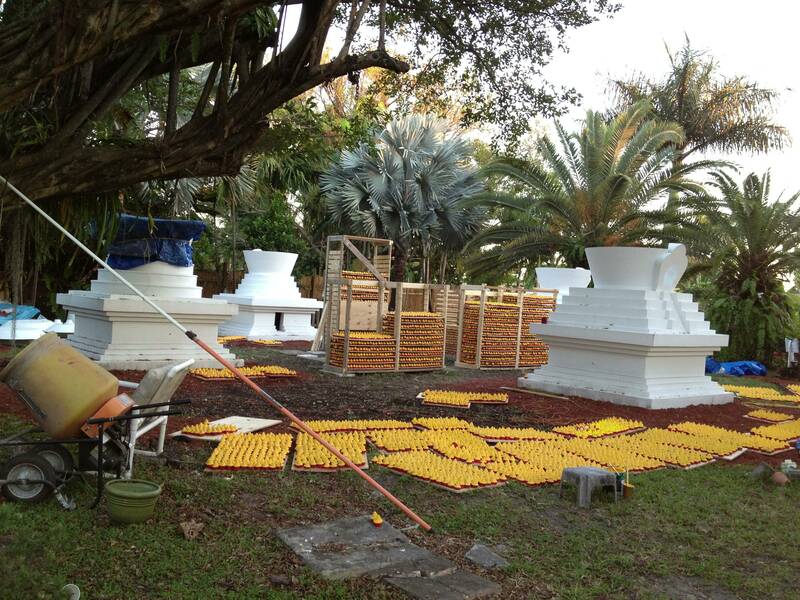 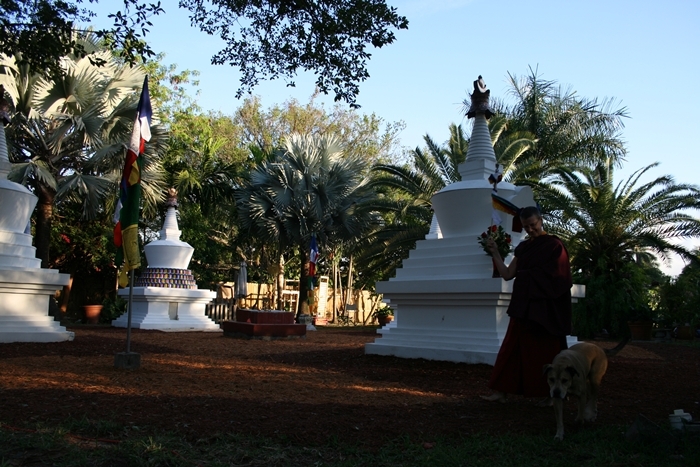 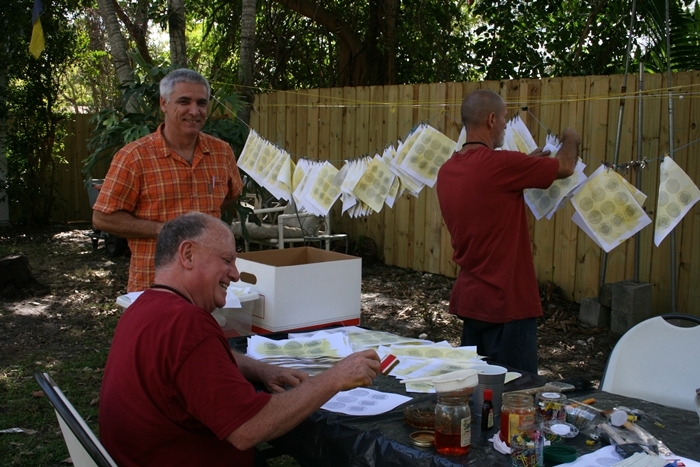 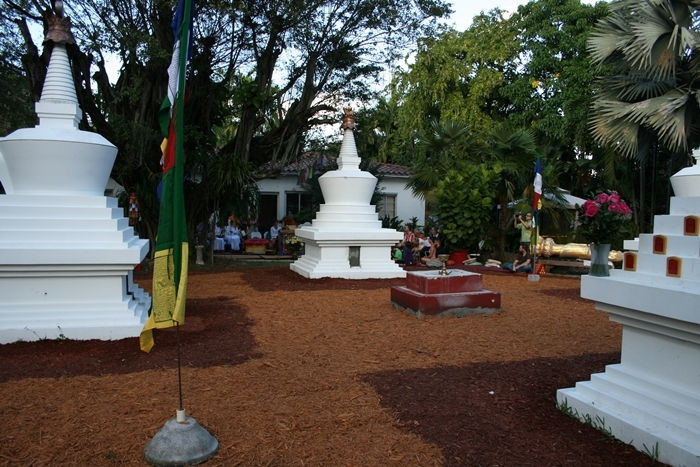 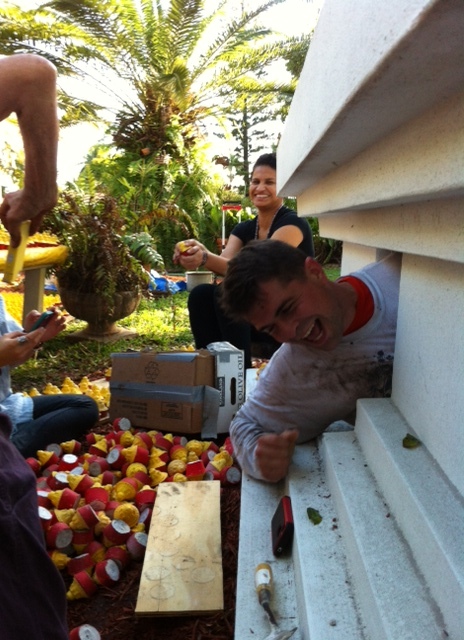 Garden of Merit Stupa Open Awareness Buddhist Center Miamibuddhism.com Feature Southernmost Tibetan stupas in the U.S. 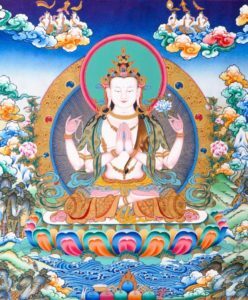 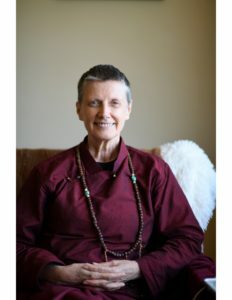 They were built to counter negativity and balance the elements, thereby benefiting the physical environment and all the beings sharing that environment. 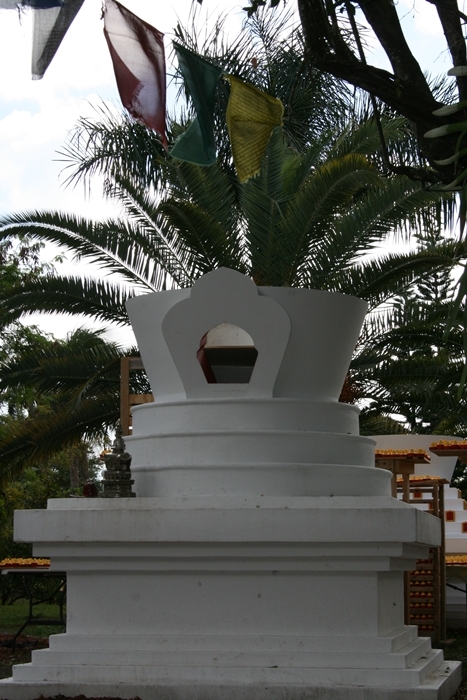 A basic design was shown by Buddha Shakyamuni when his disciples asked him how a reliquary should be constructed and what it should symbolize. 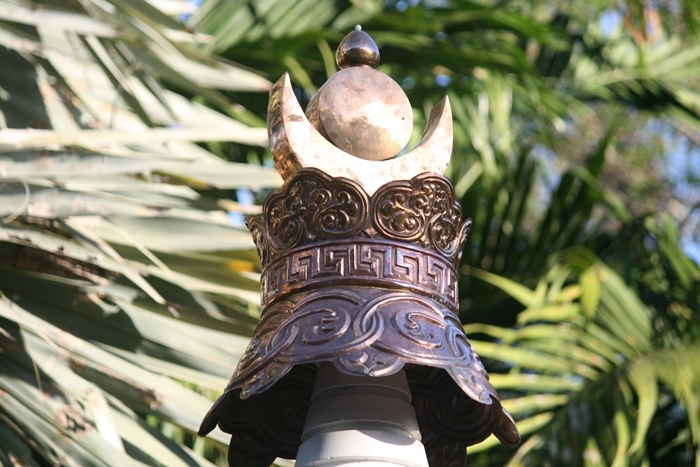 The Kagyu lineage of Tibetan Buddhism has kept the basic design. 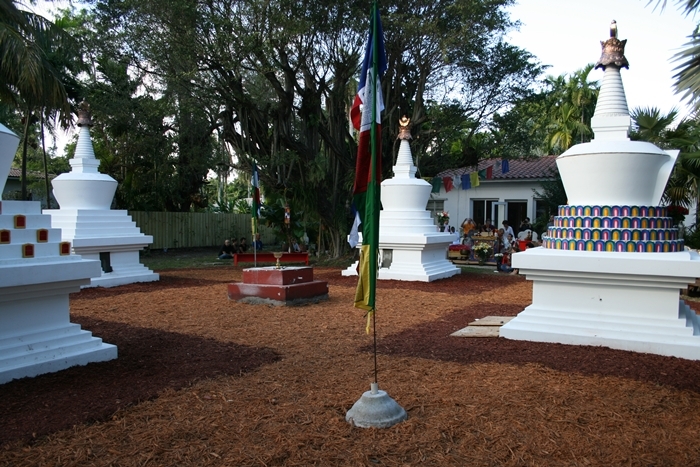 These four stupas in Miami, Florida were built to face the four cardinal directions and symbolize various events in the life of the Buddha. 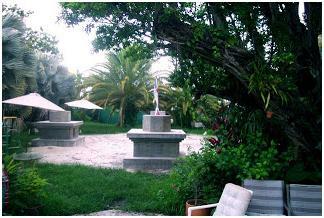 Come experience the peace of our garden. 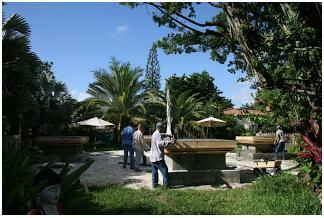 Tours of this beautiful Garden are available during Merit Days. 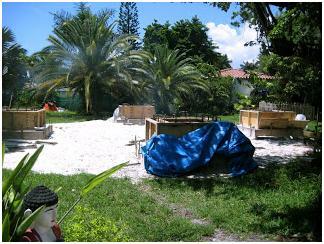 A small donation of $5 per person is suggested.